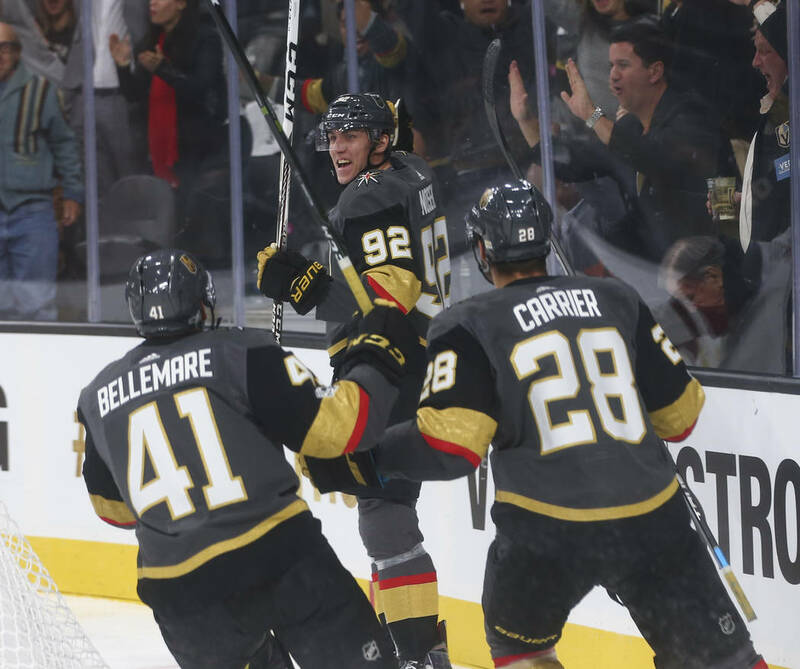 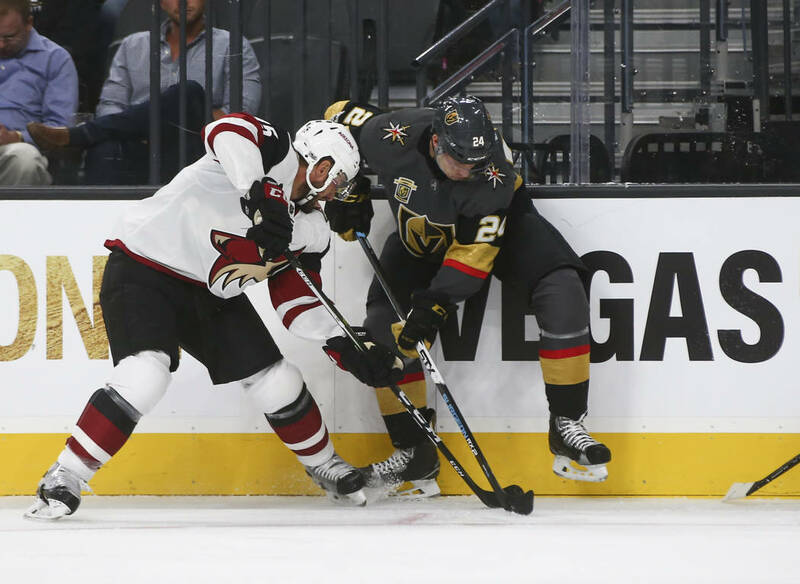 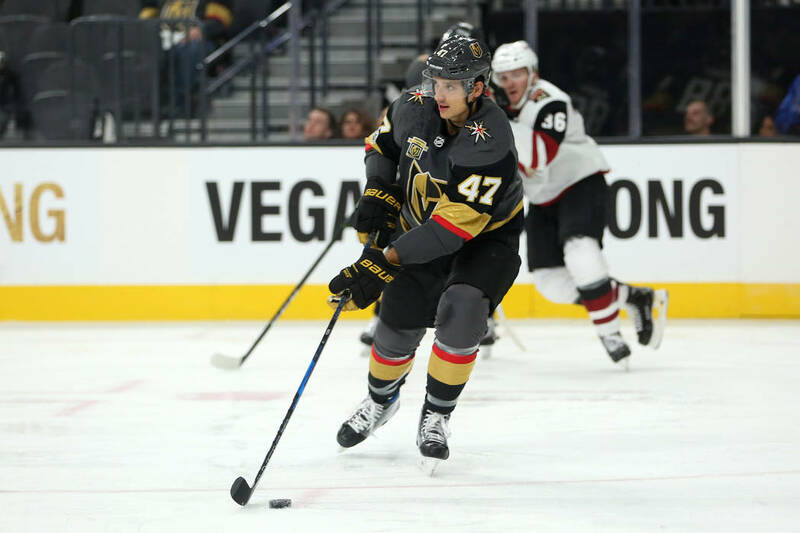 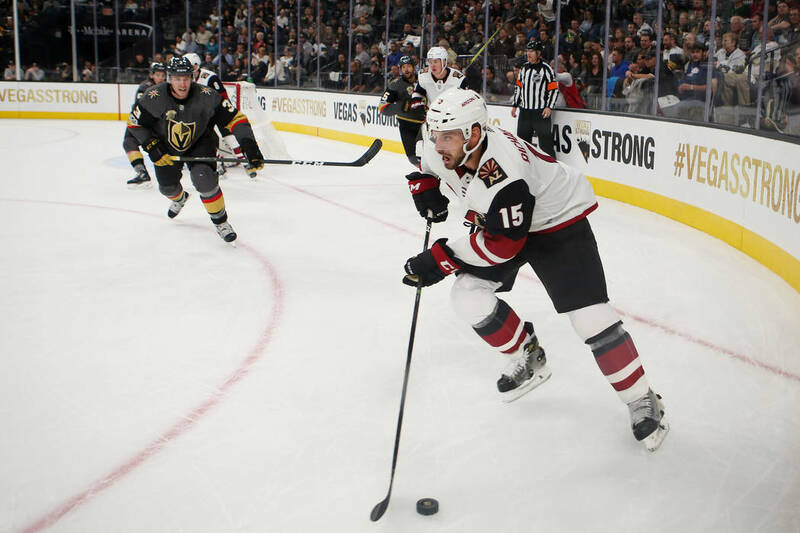 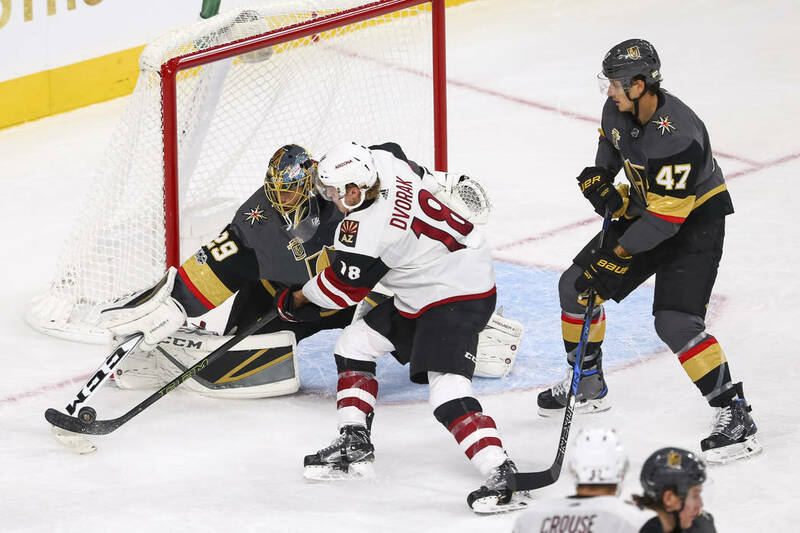 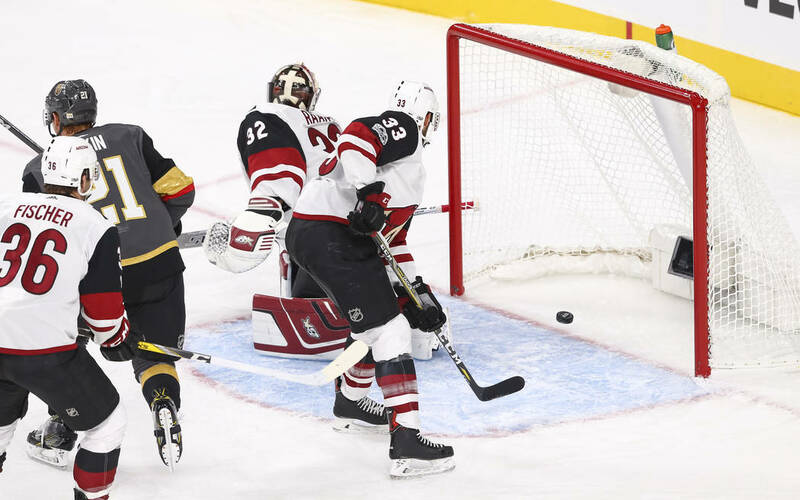 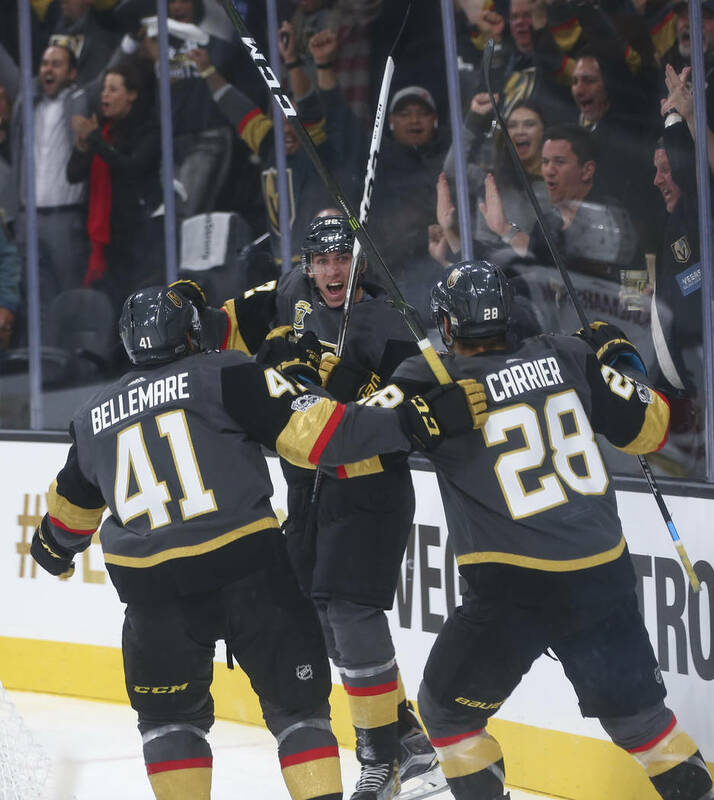 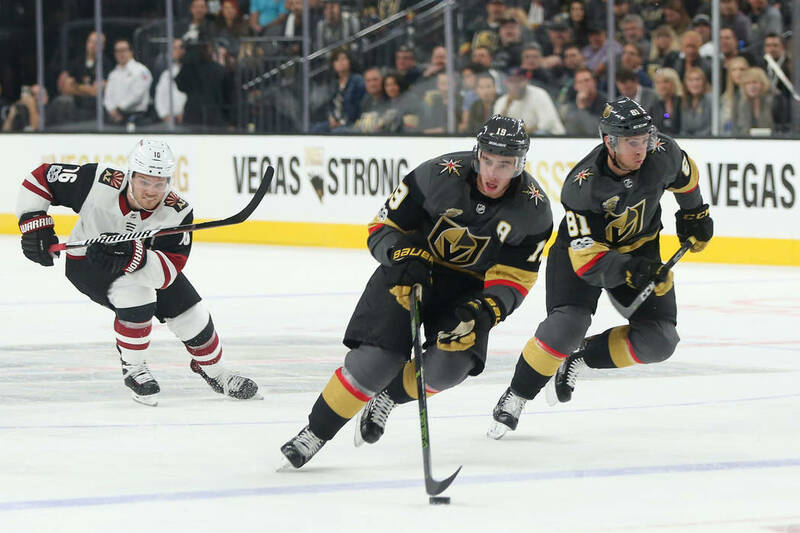 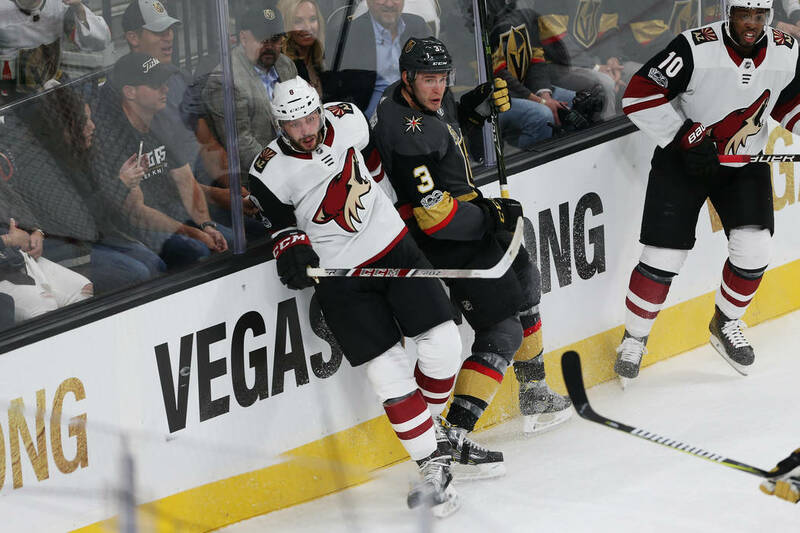 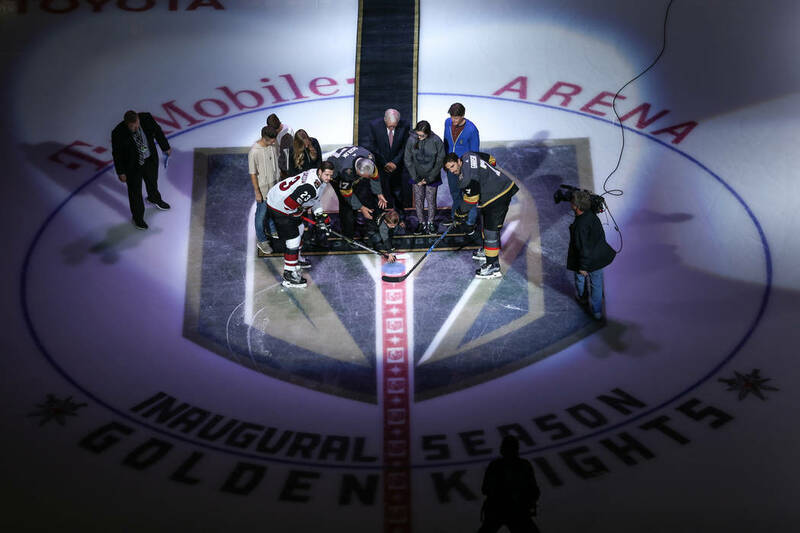 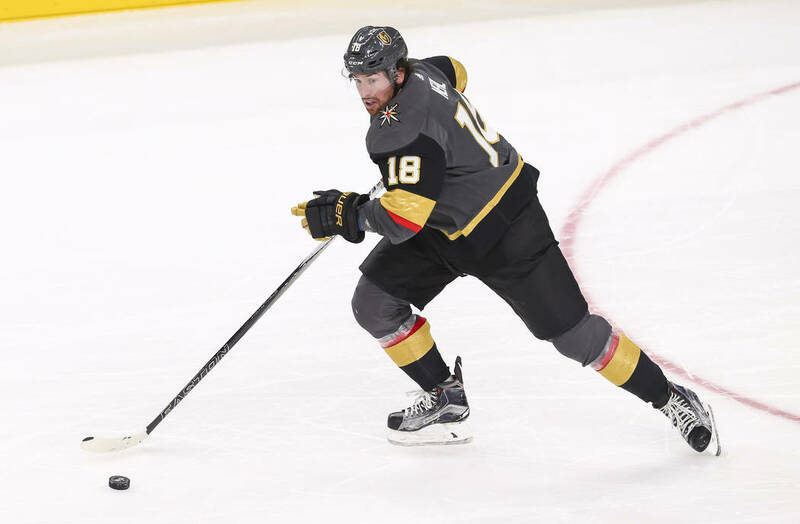 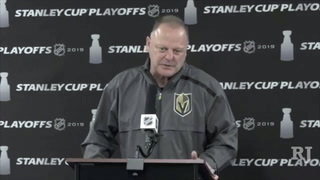 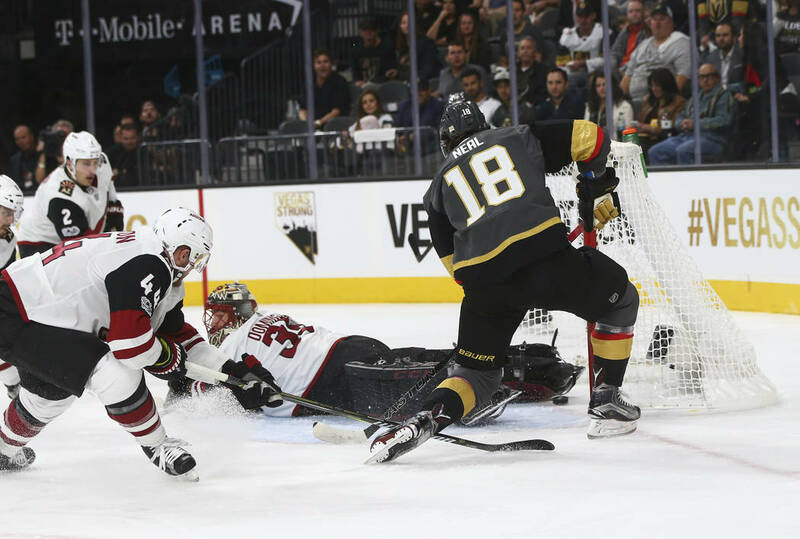 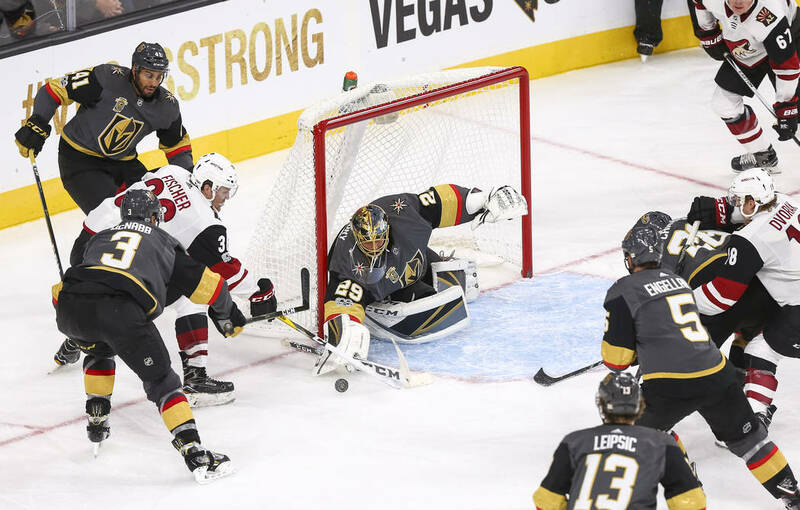 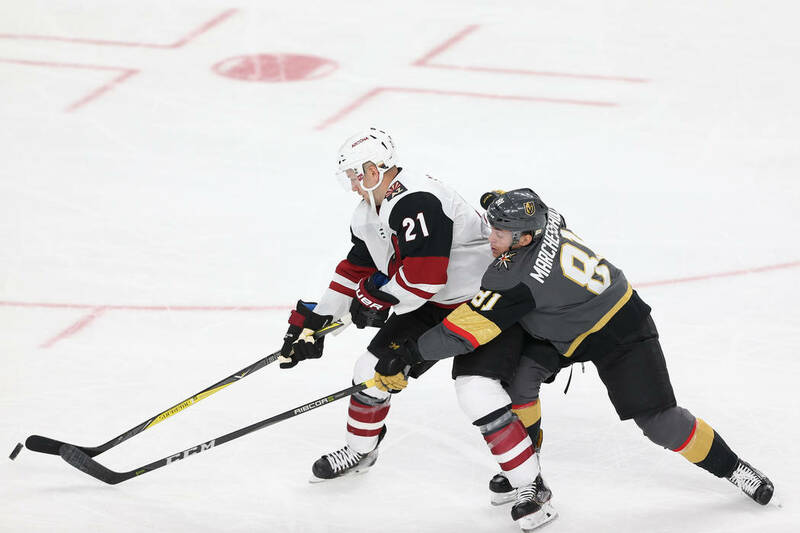 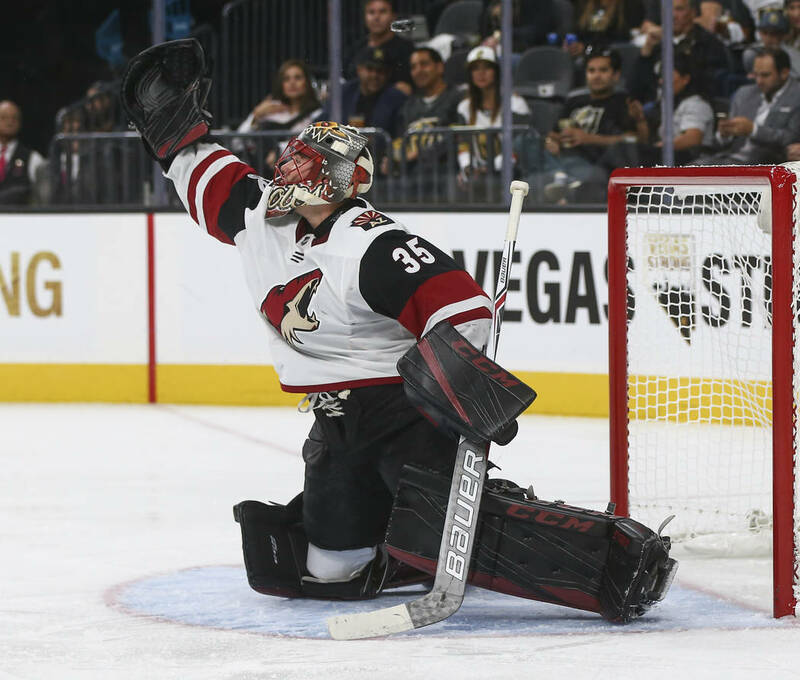 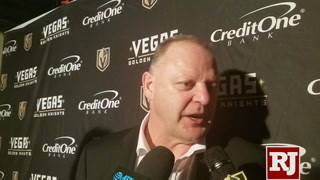 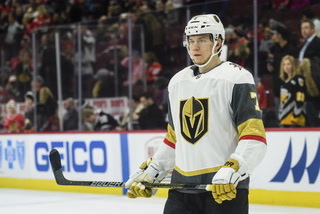 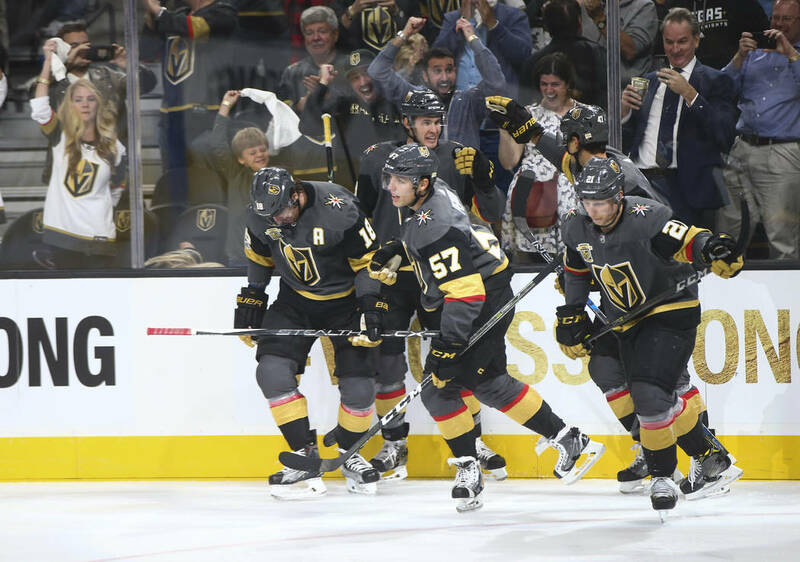 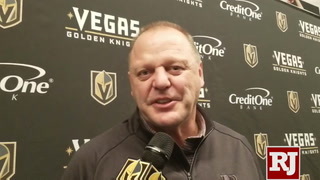 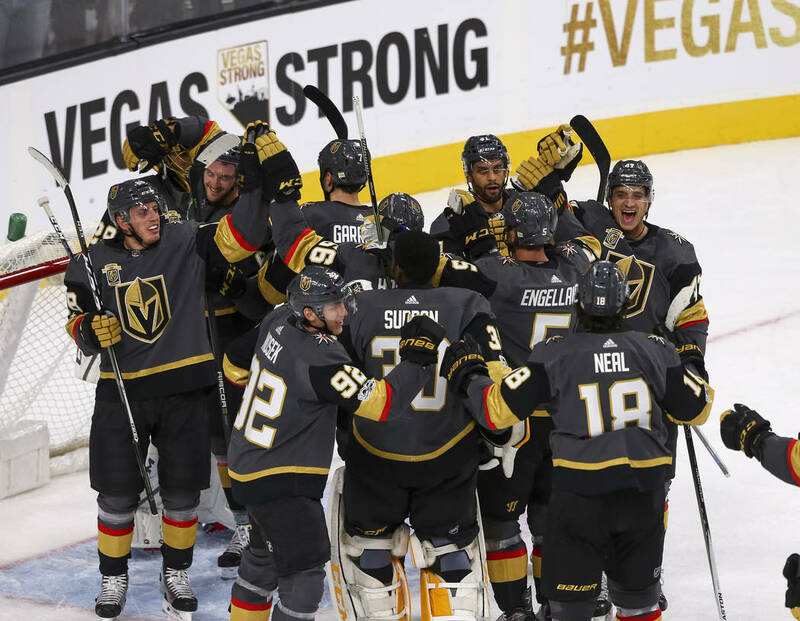 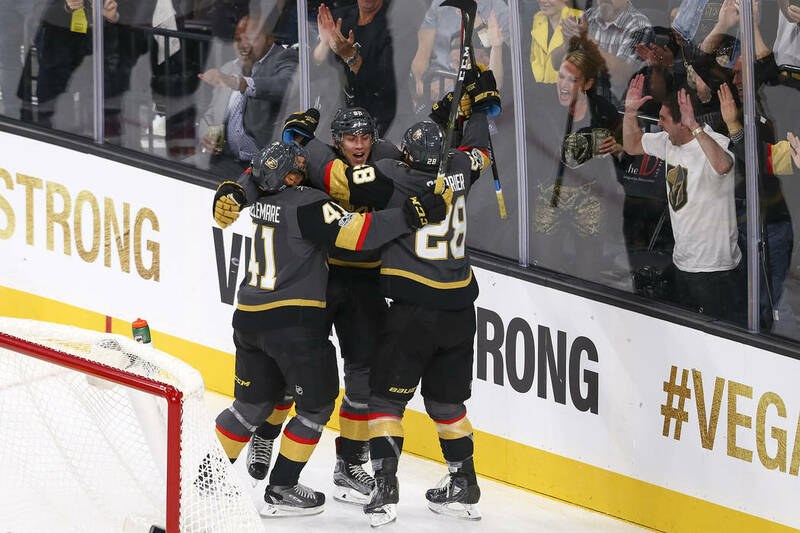 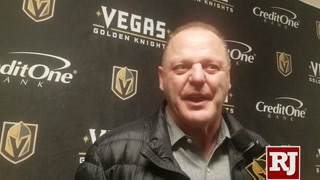 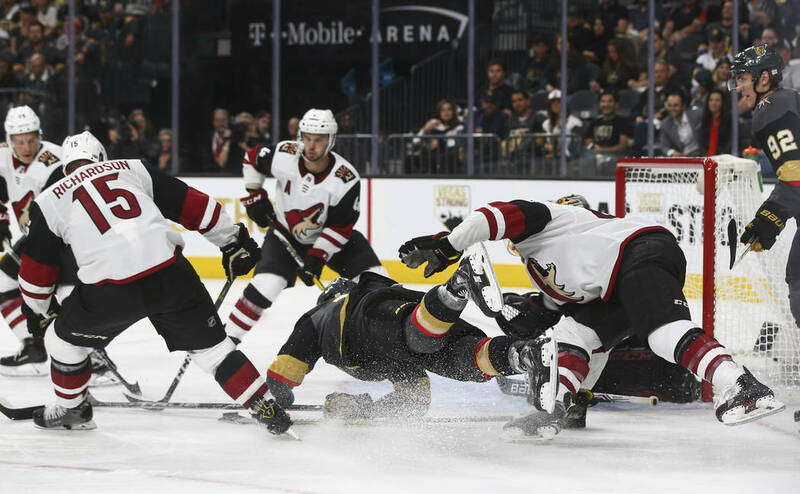 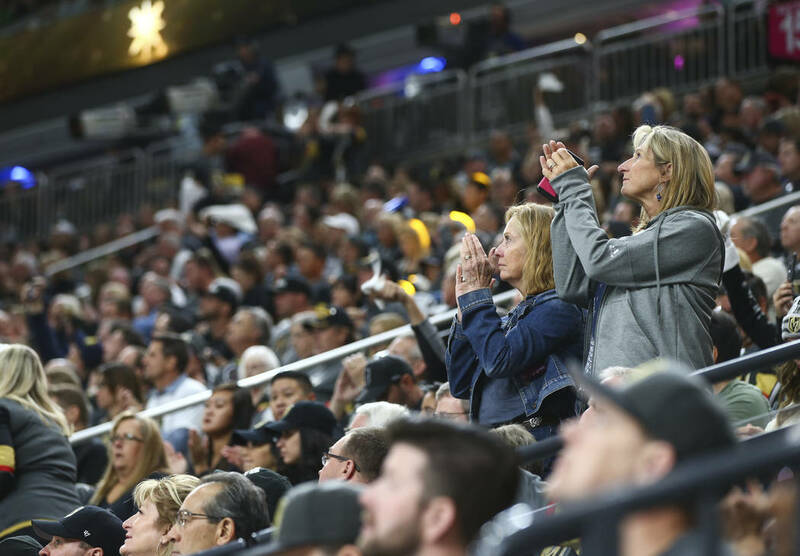 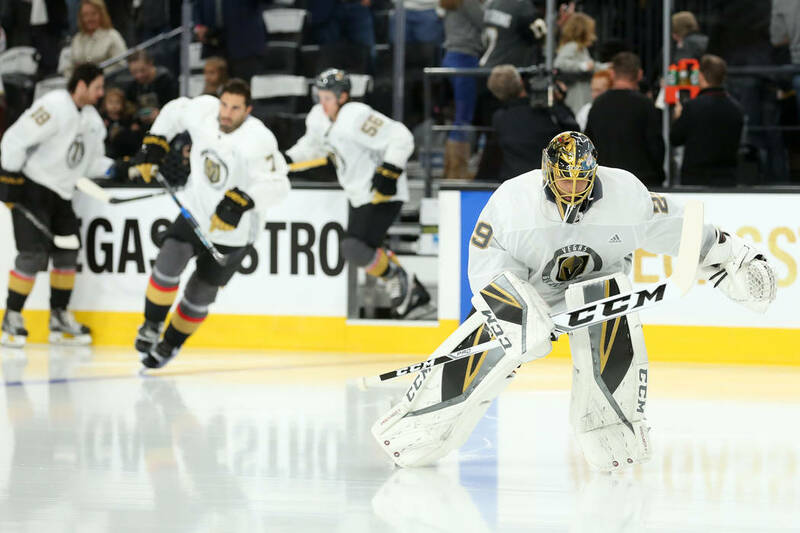 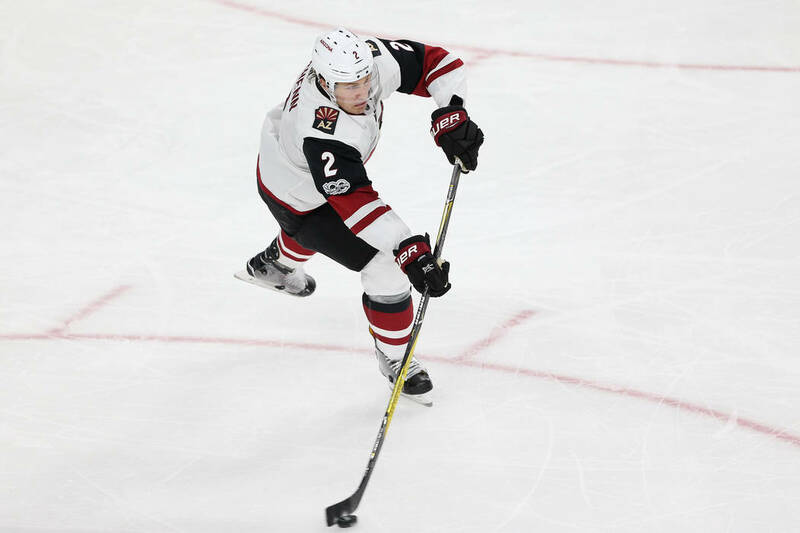 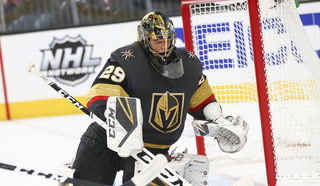 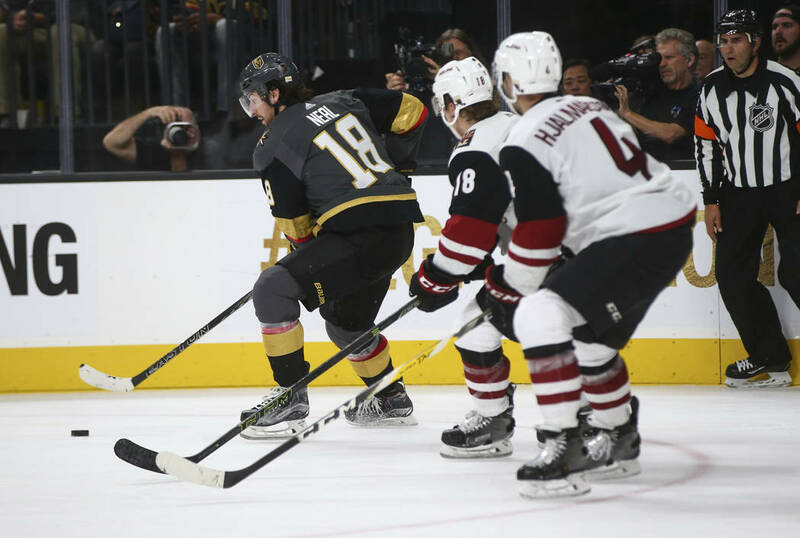 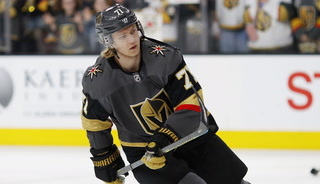 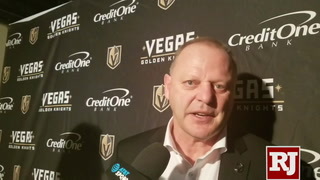 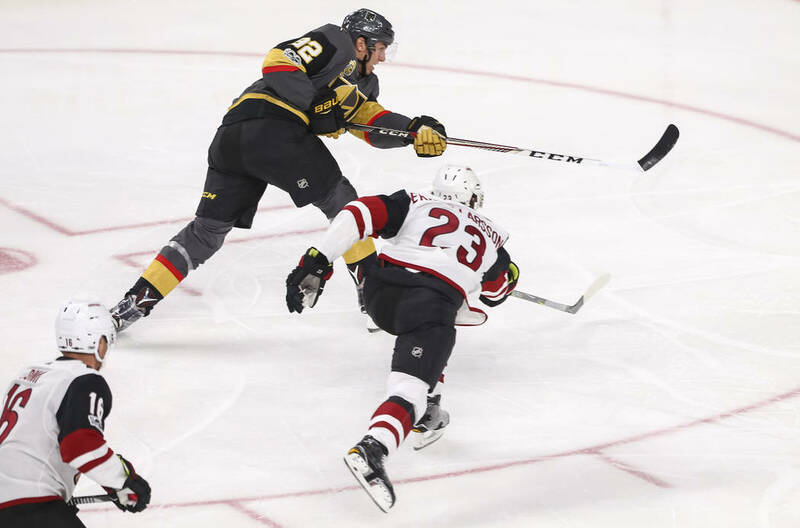 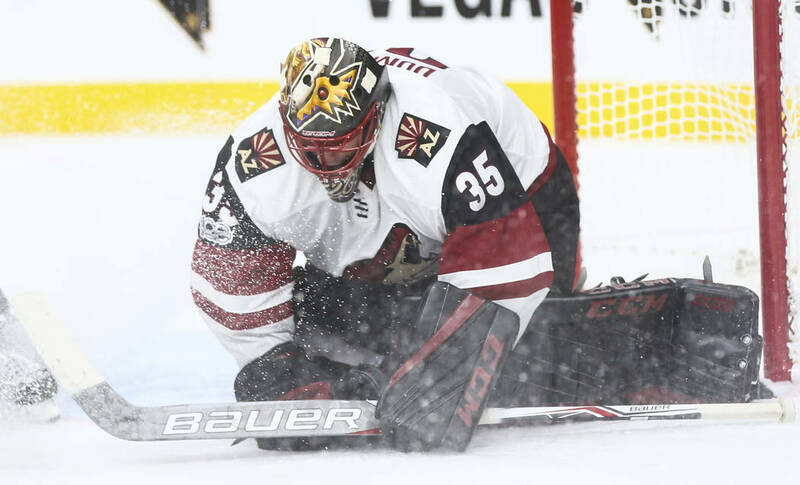 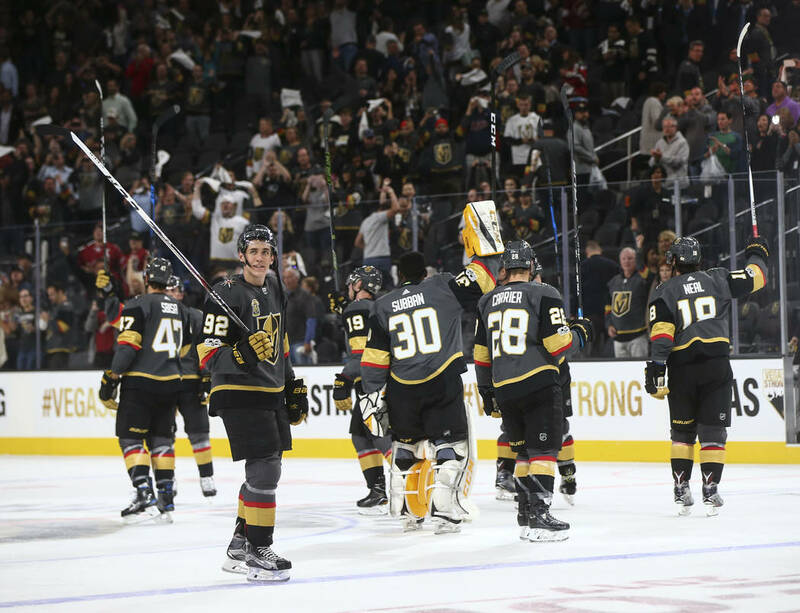 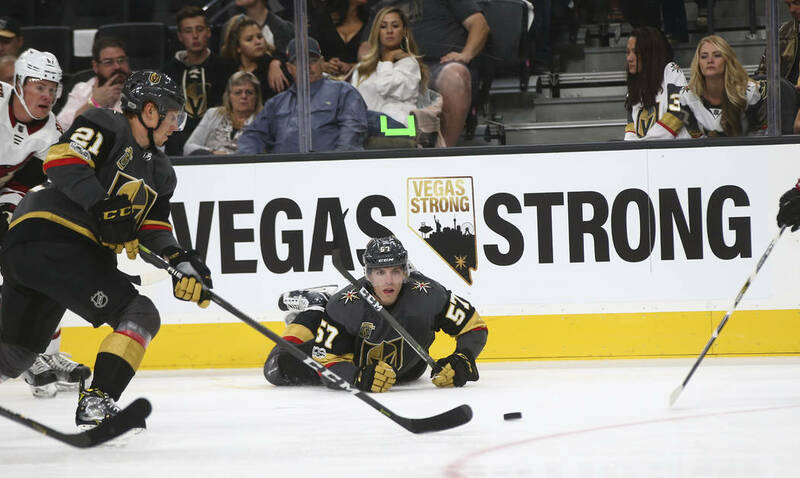 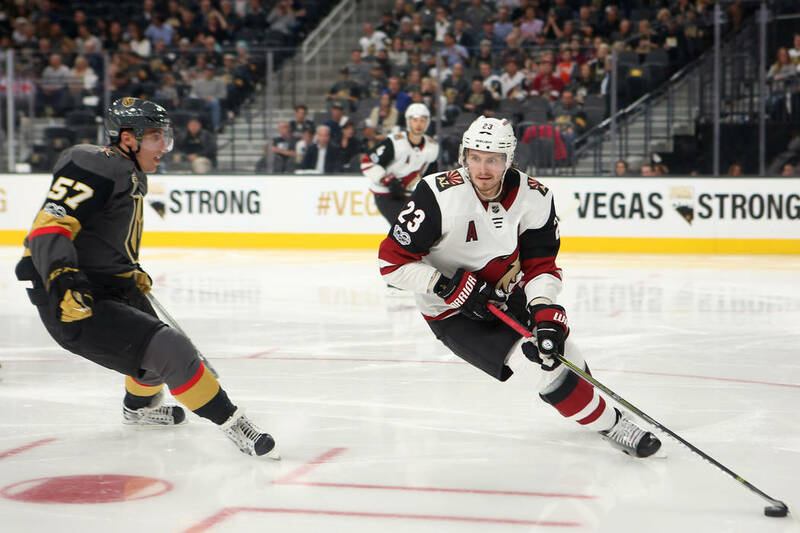 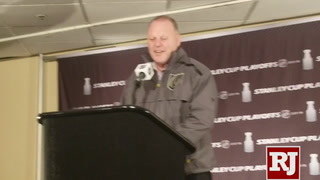 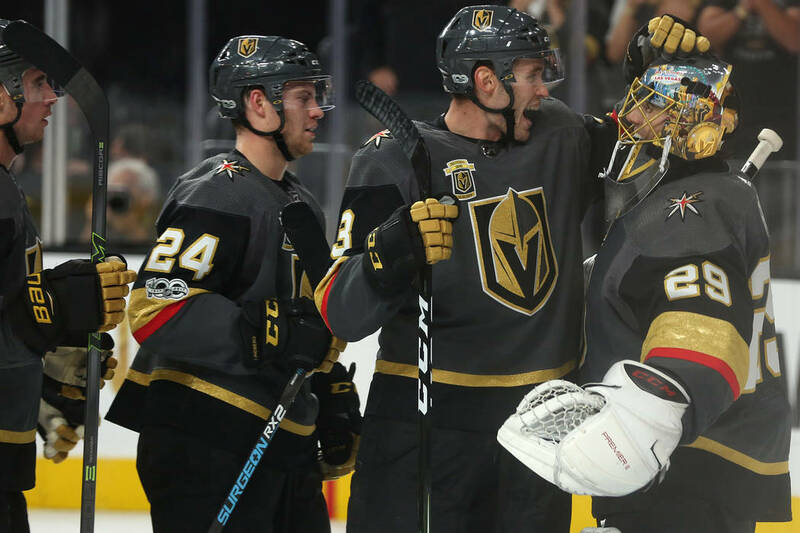 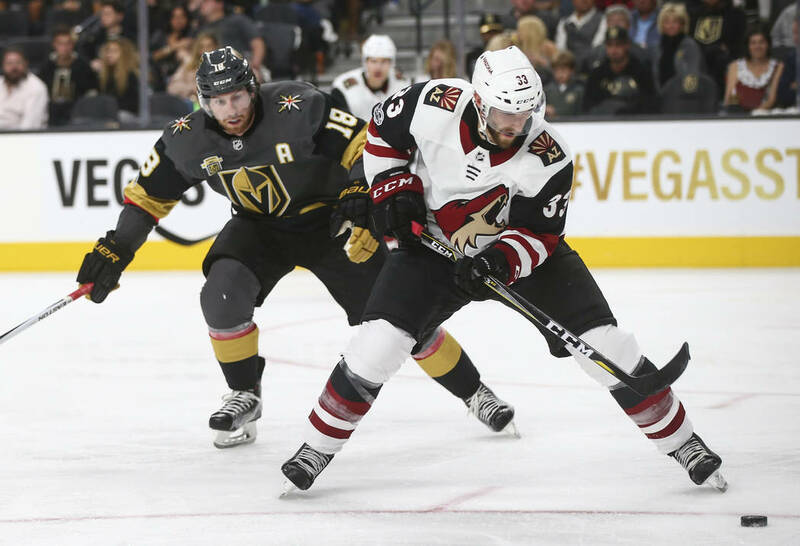 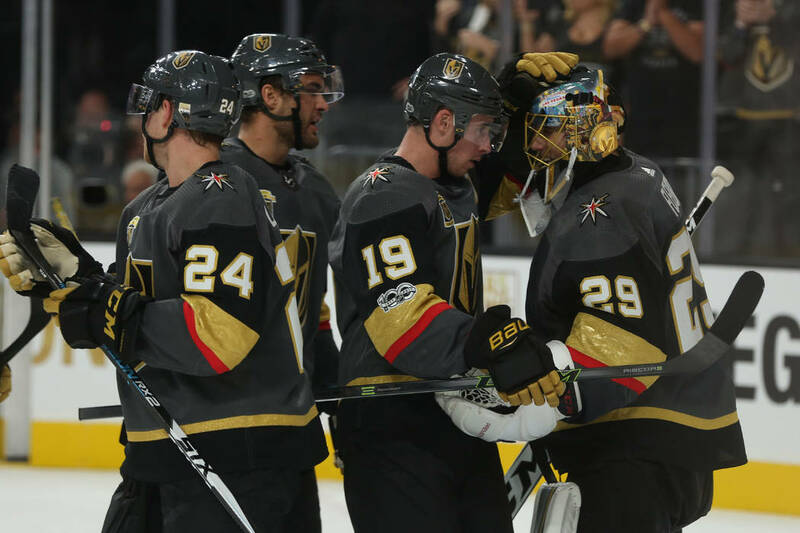 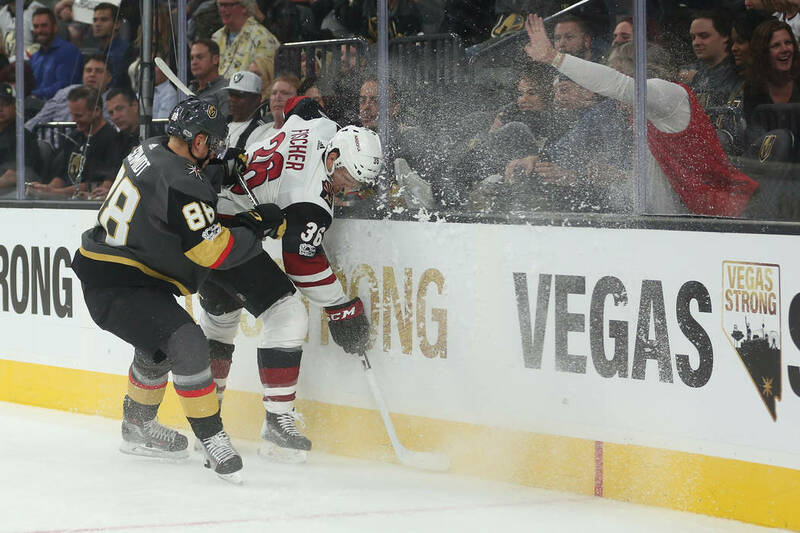 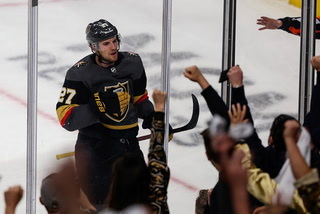 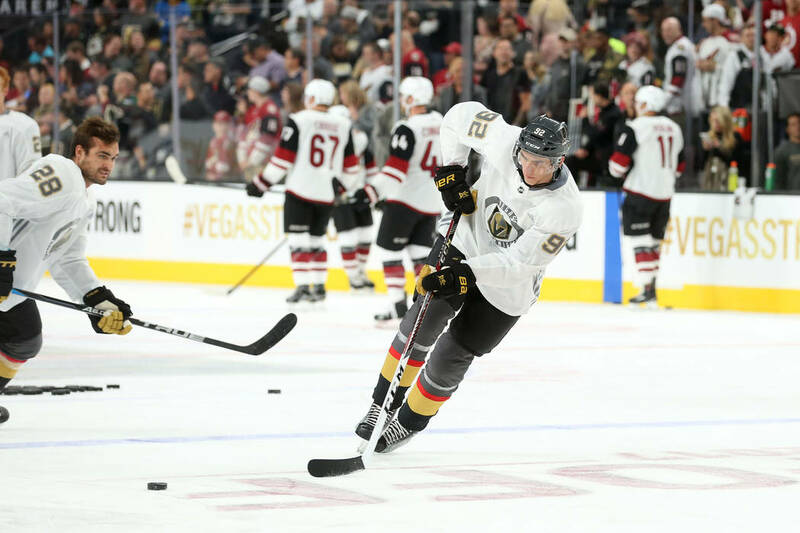 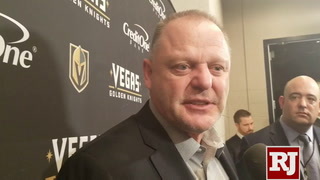 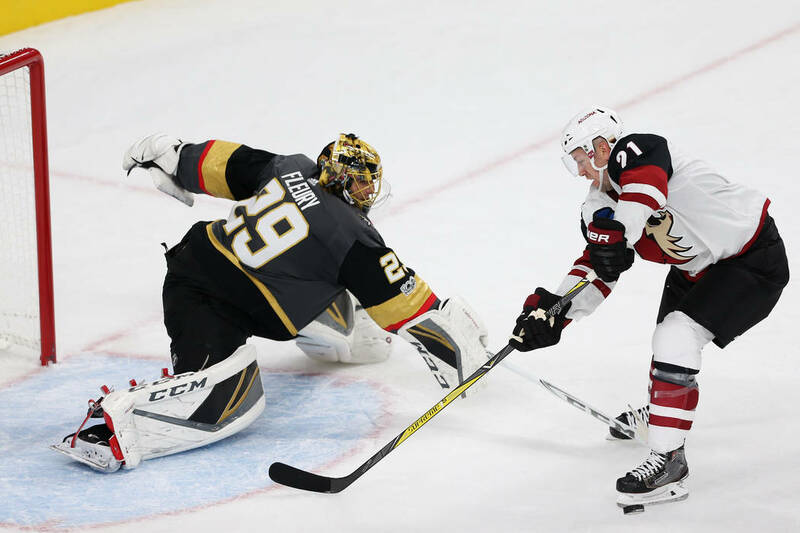 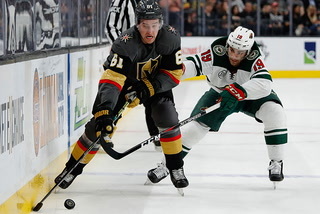 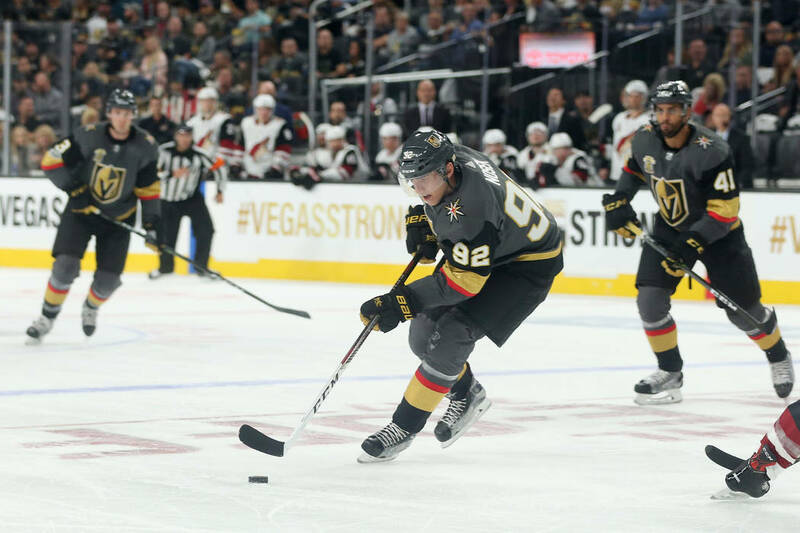 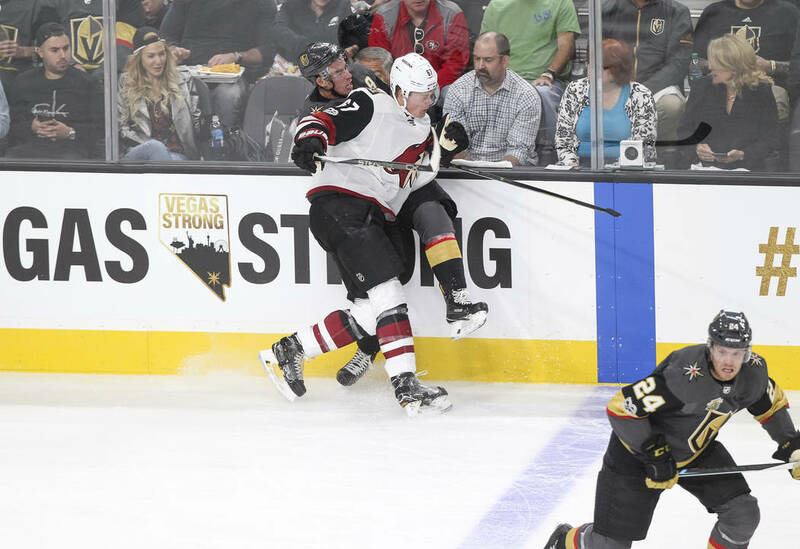 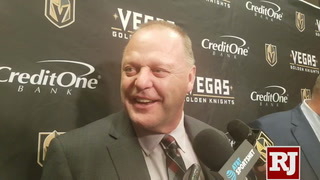 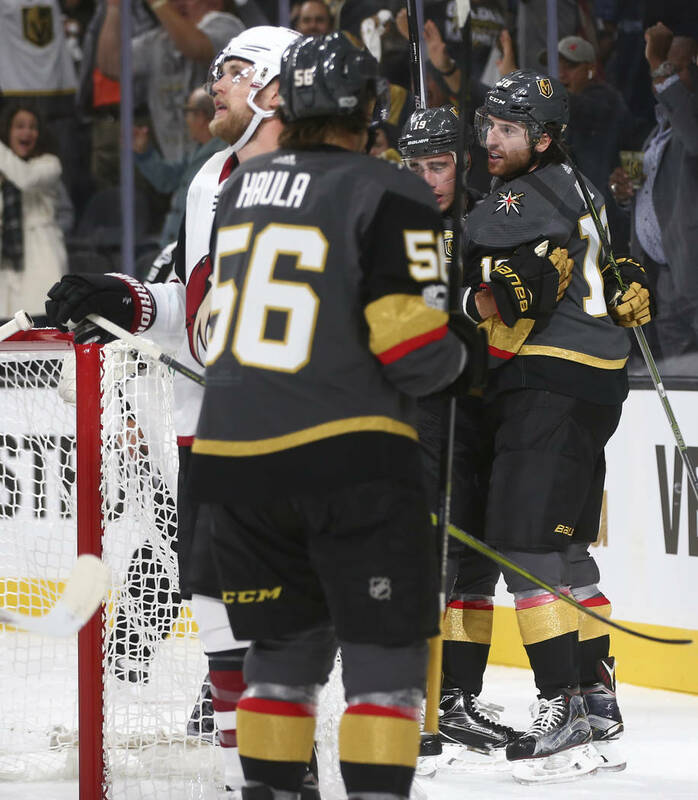 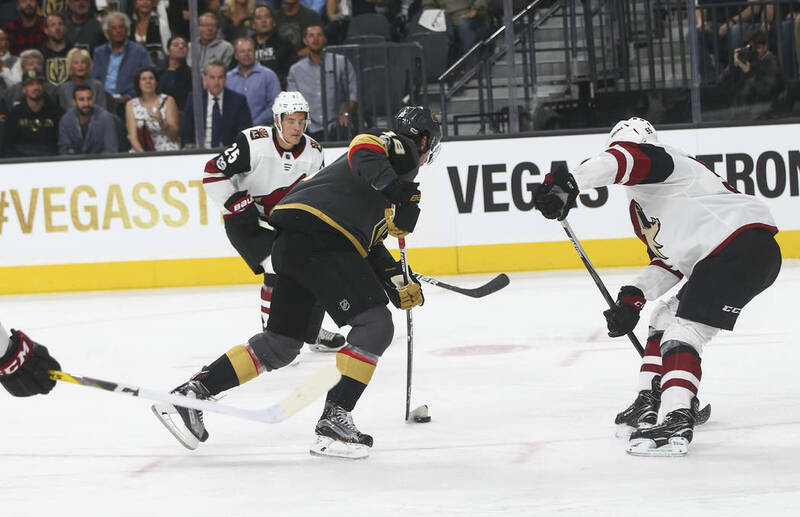 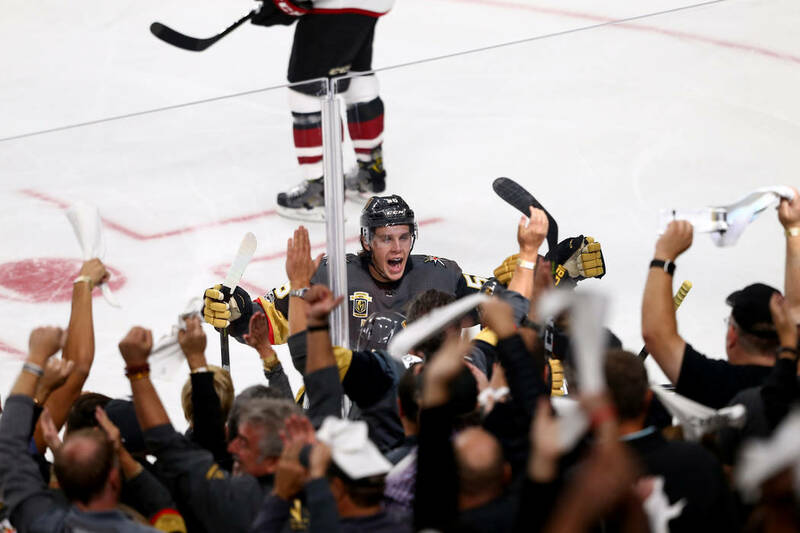 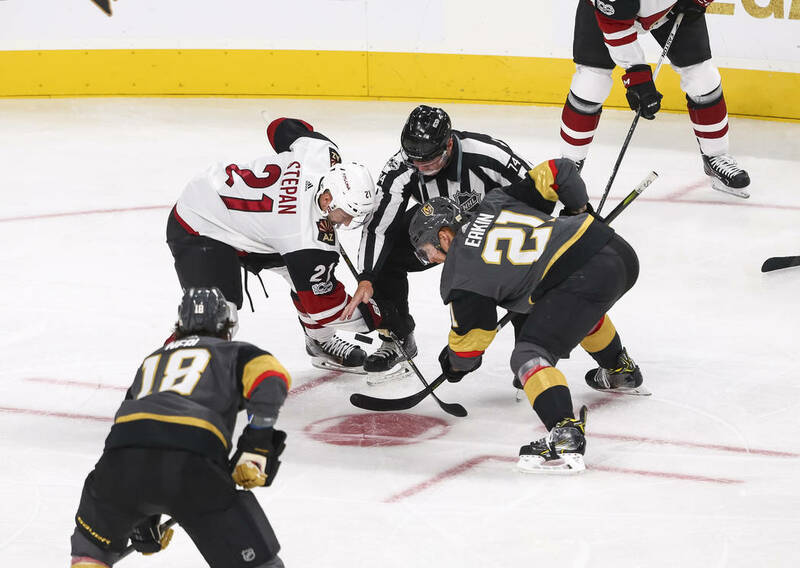 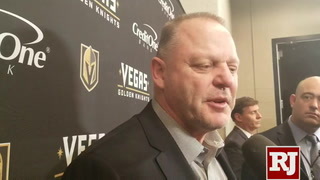 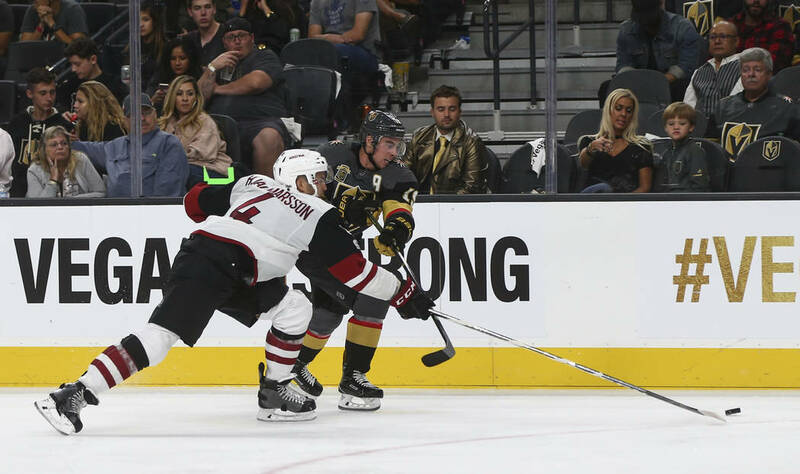 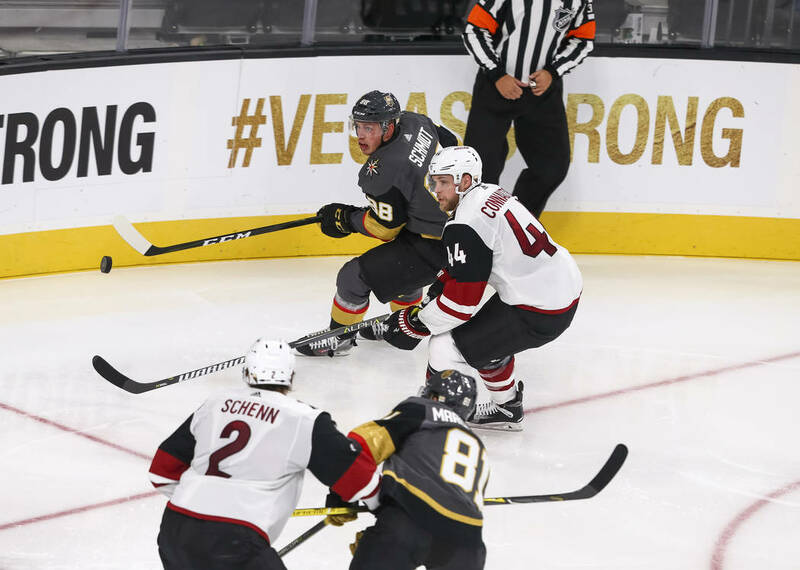 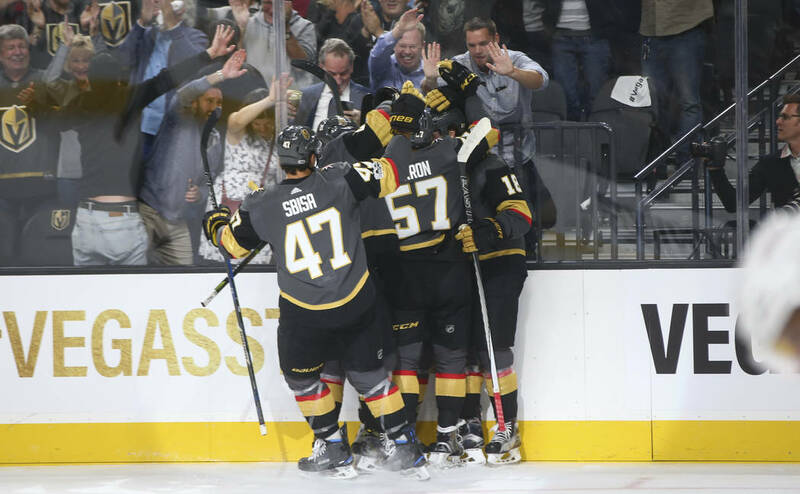 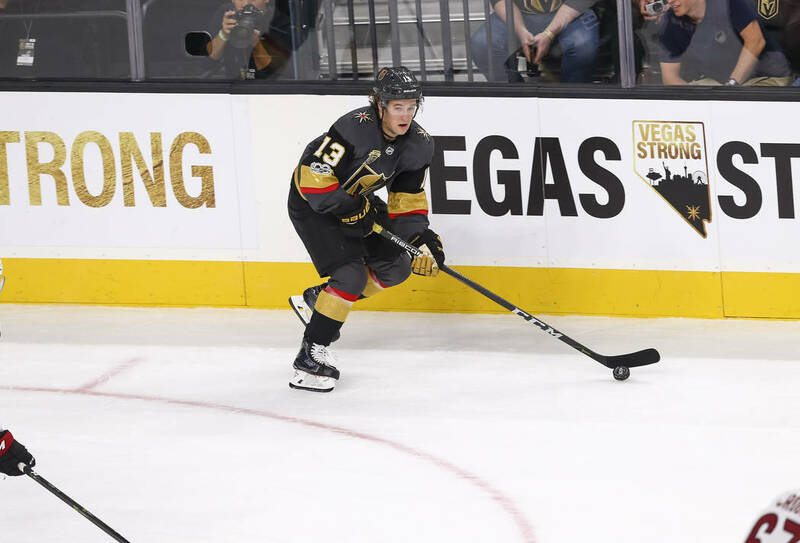 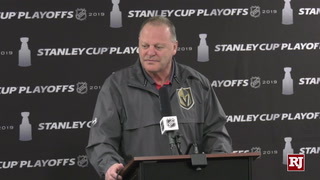 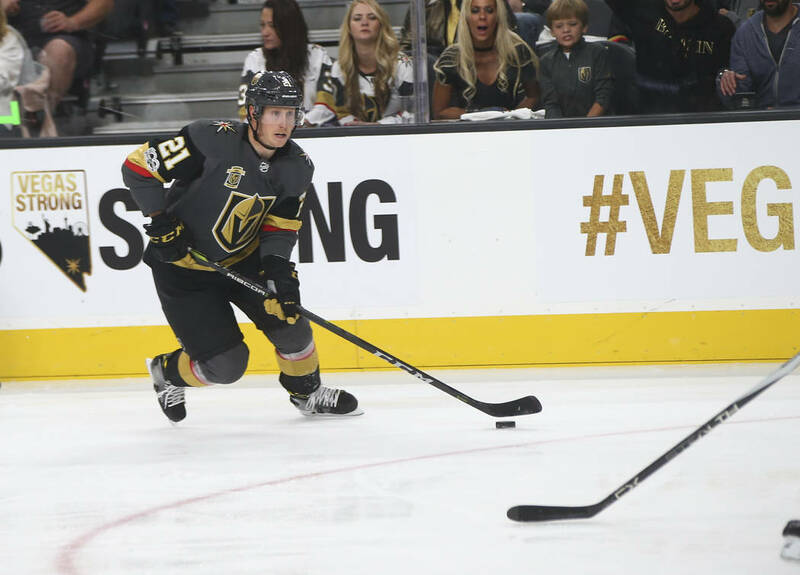 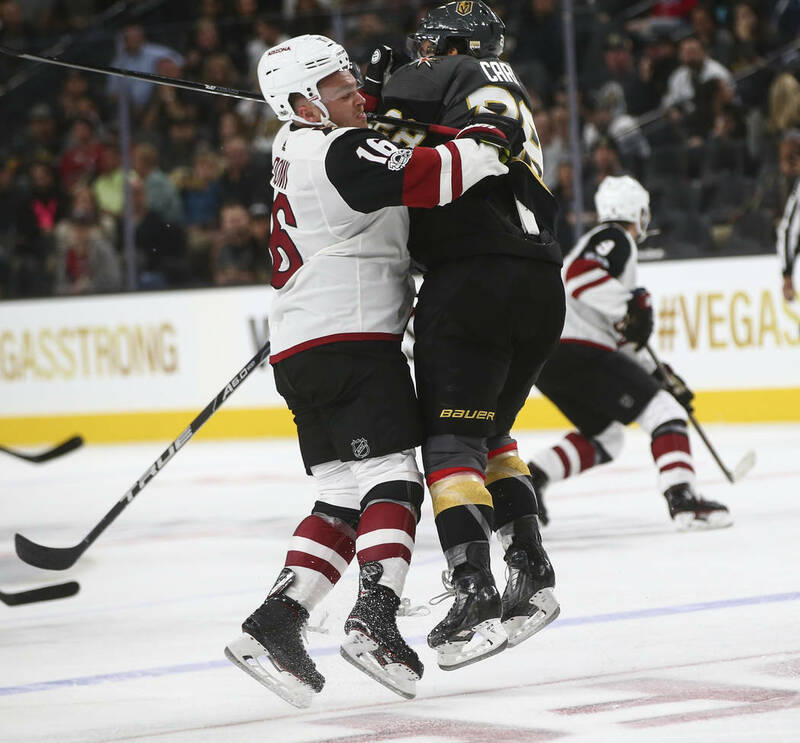 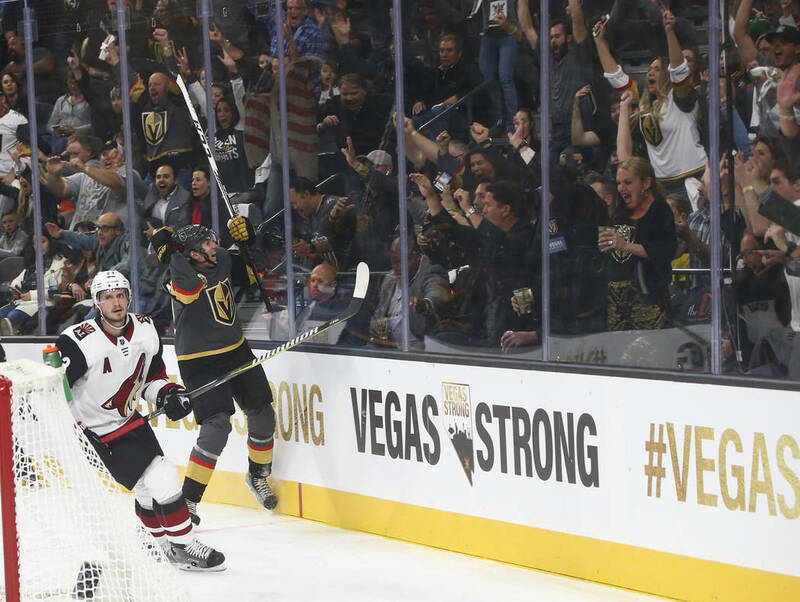 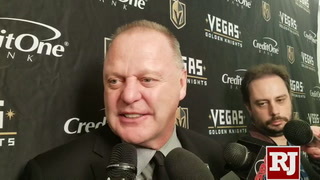 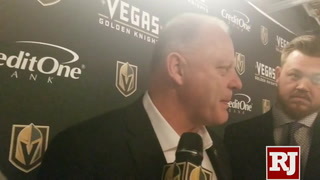 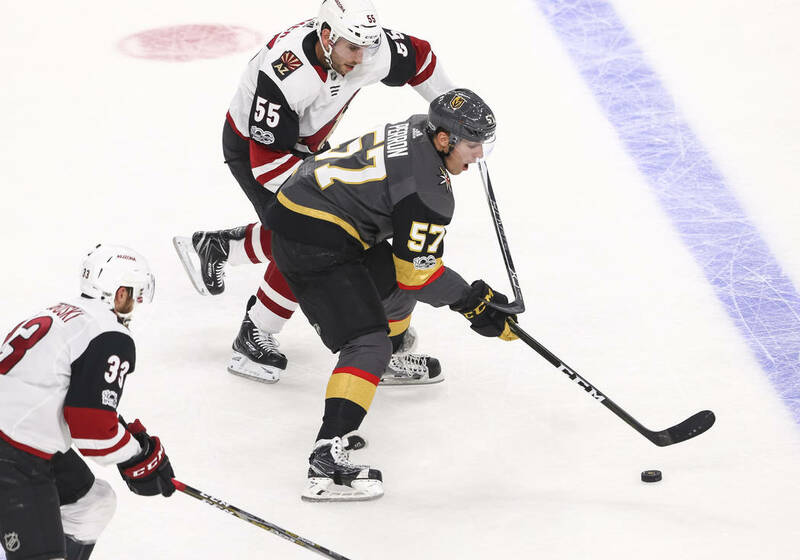 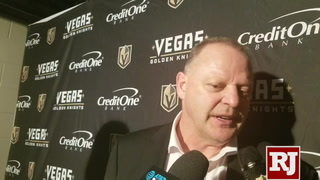 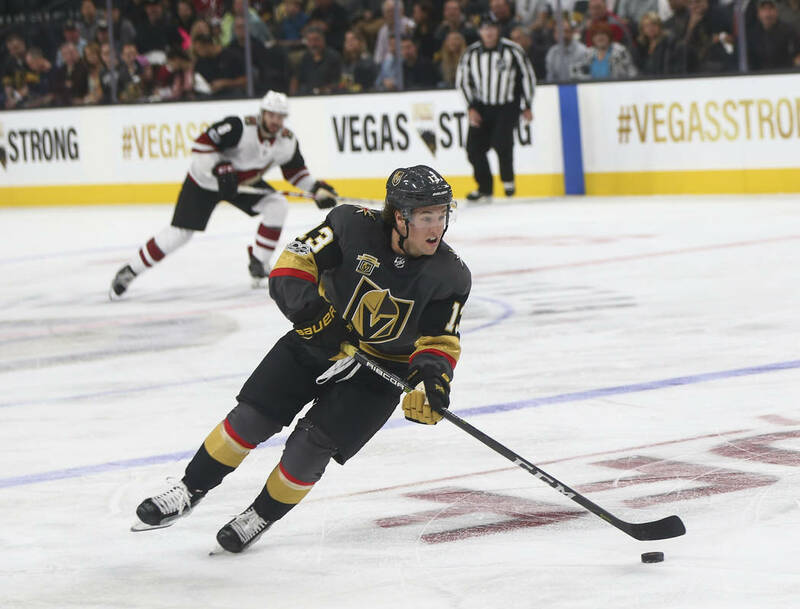 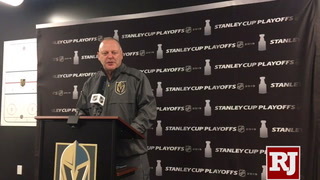 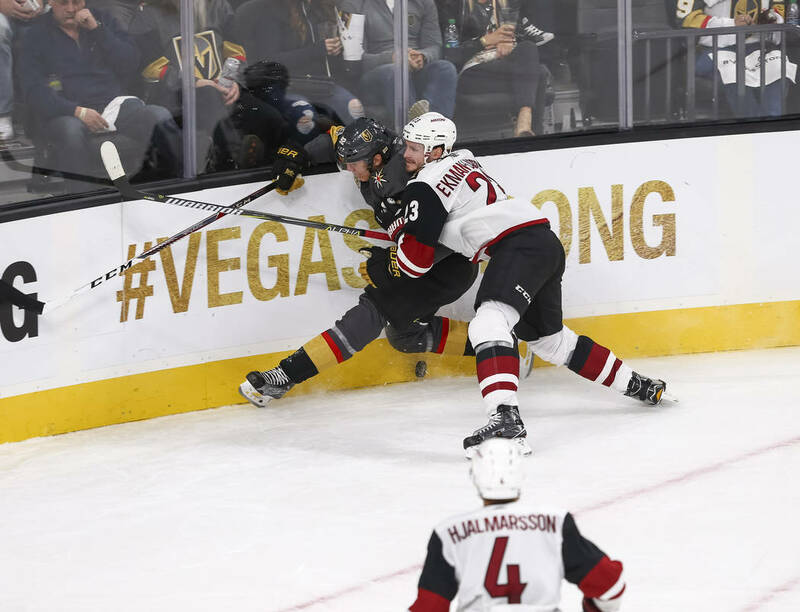 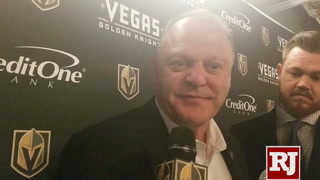 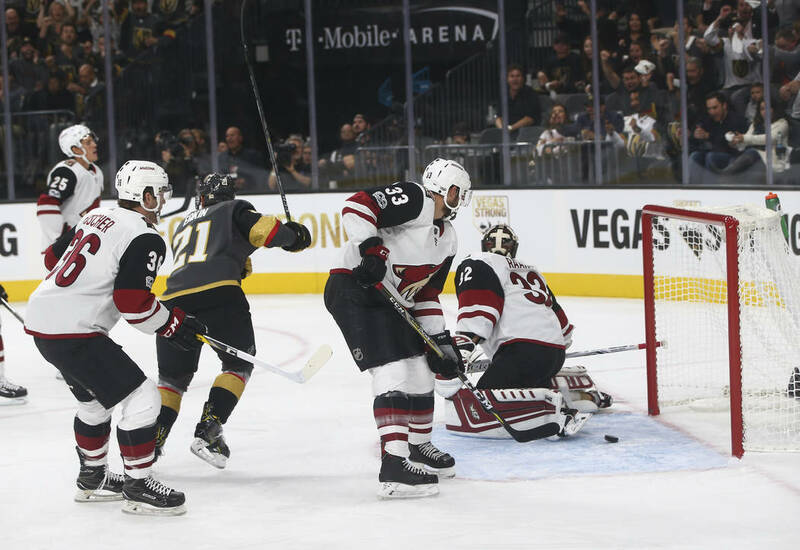 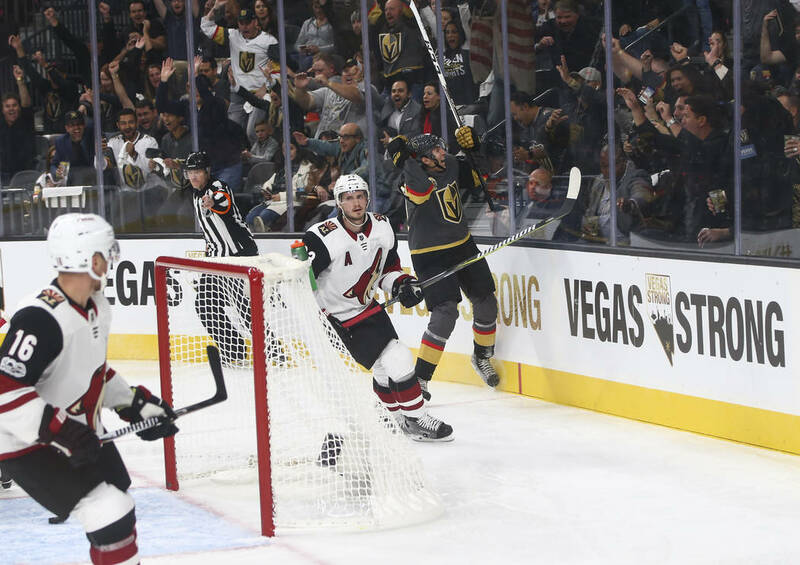 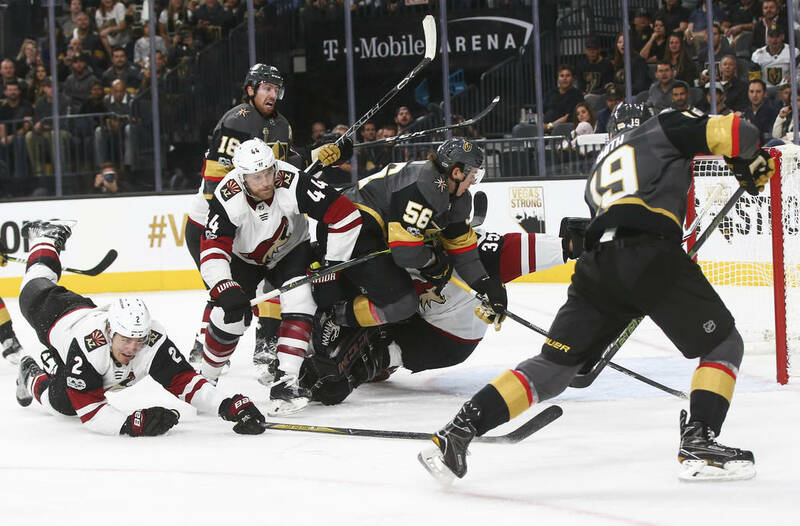 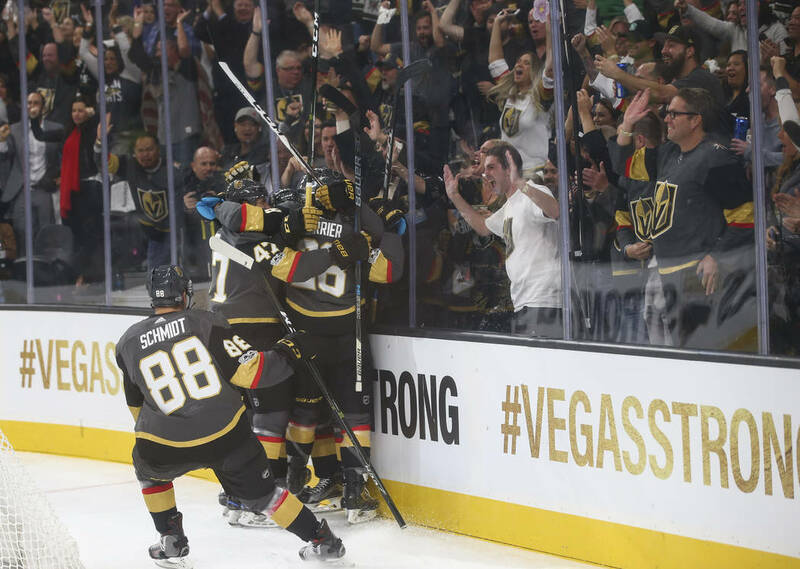 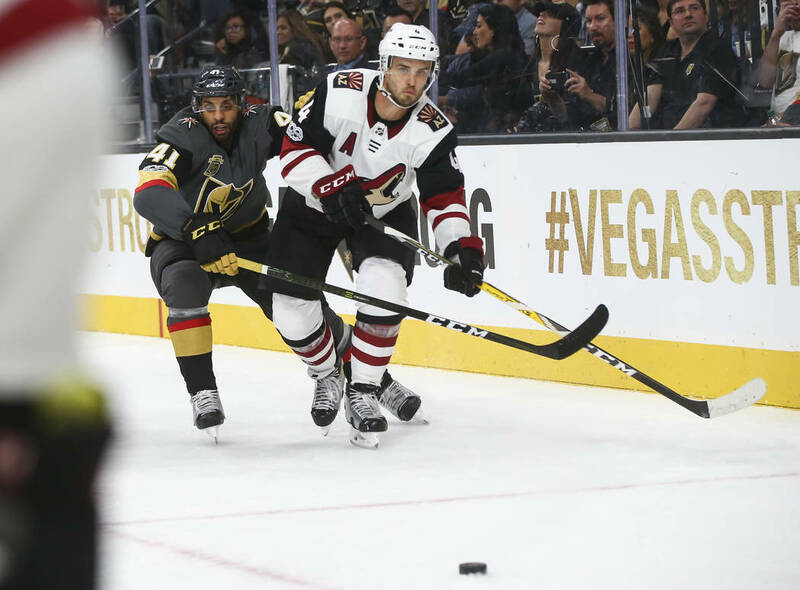 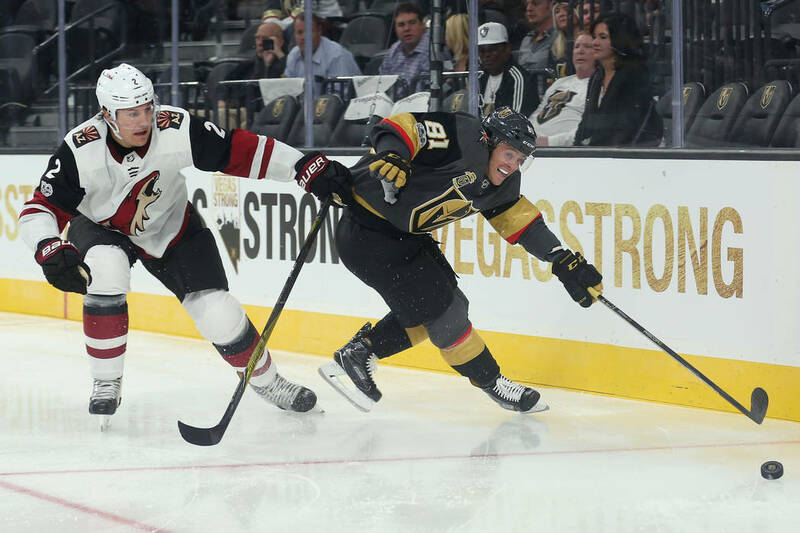 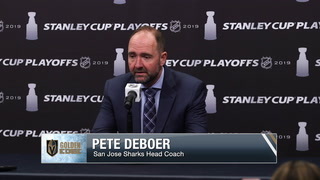 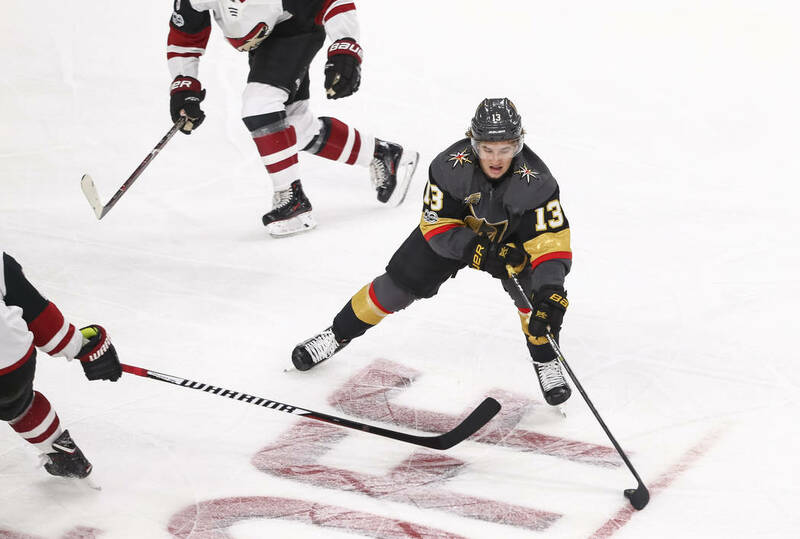 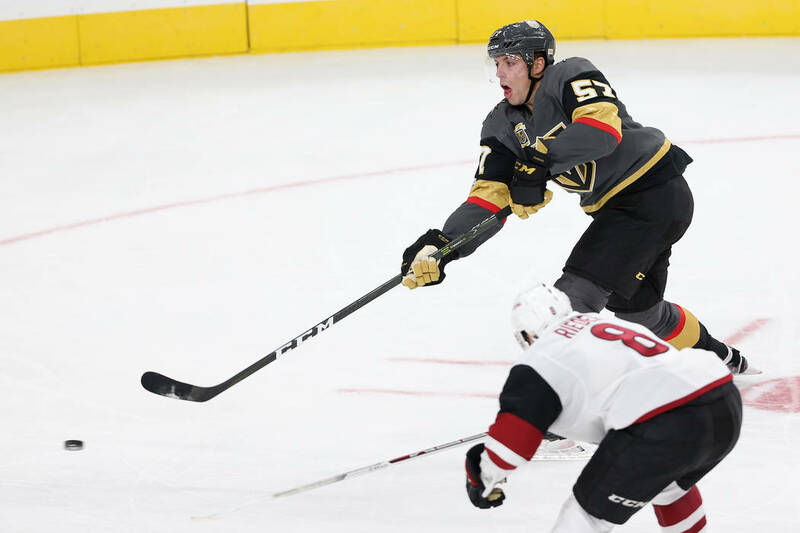 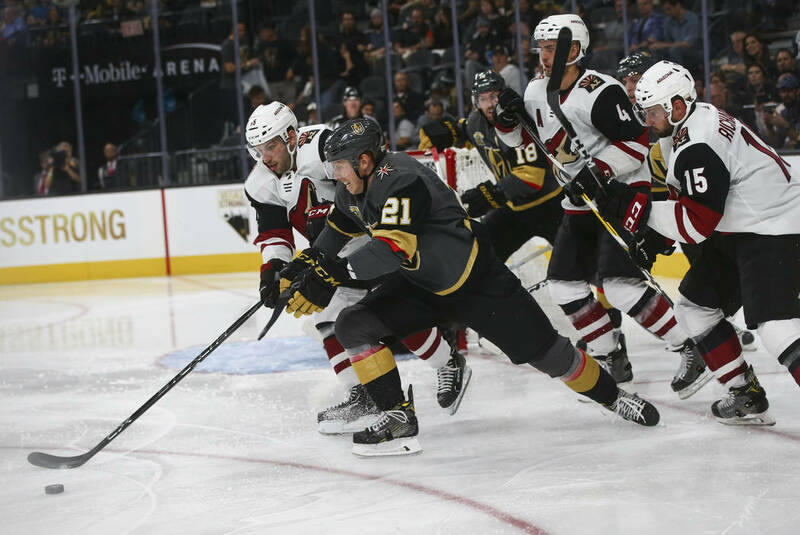 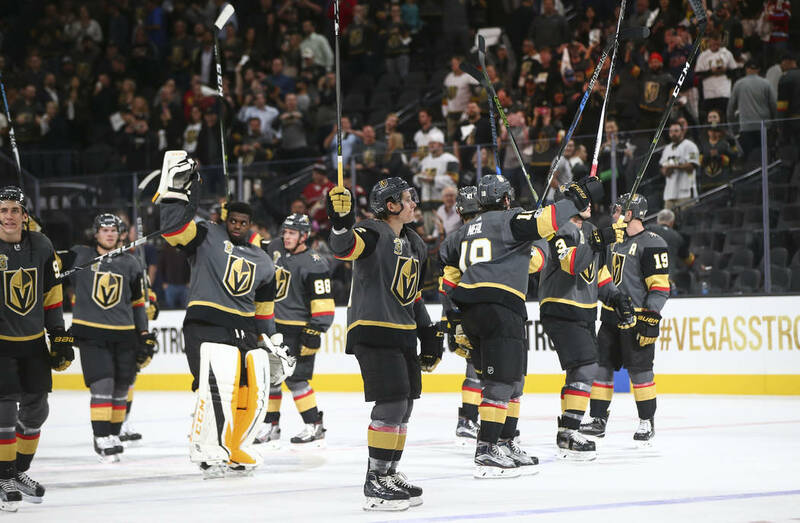 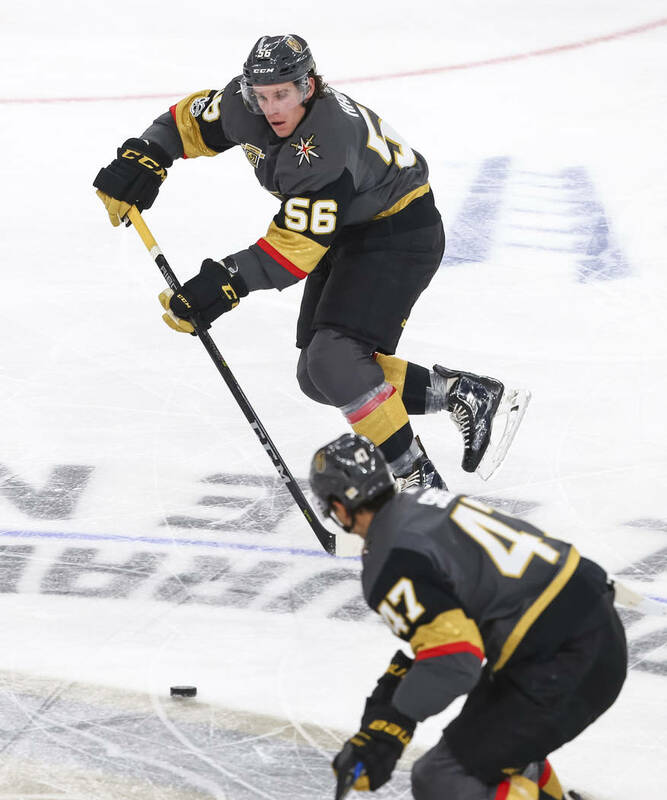 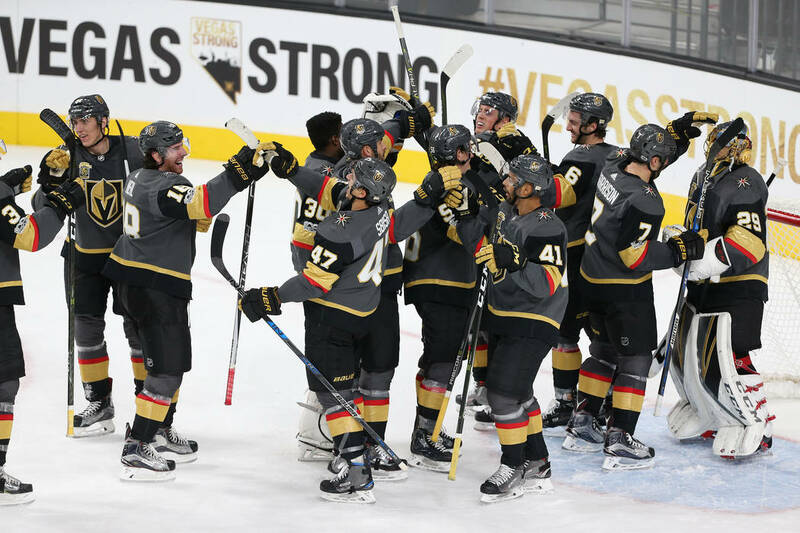 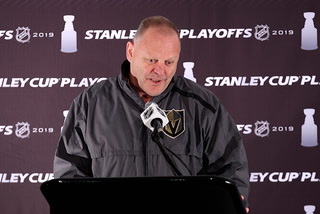 What started out as an emotional night quickly turned into a celebration of the city and its first professional team, as the Golden Knights scored four times in the first period on the way to a memorable 5-2 victory over the Arizona Coyotes. 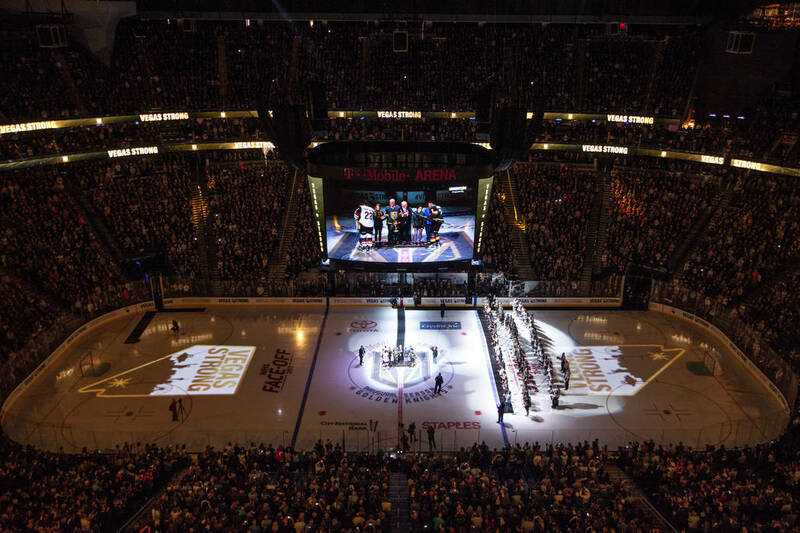 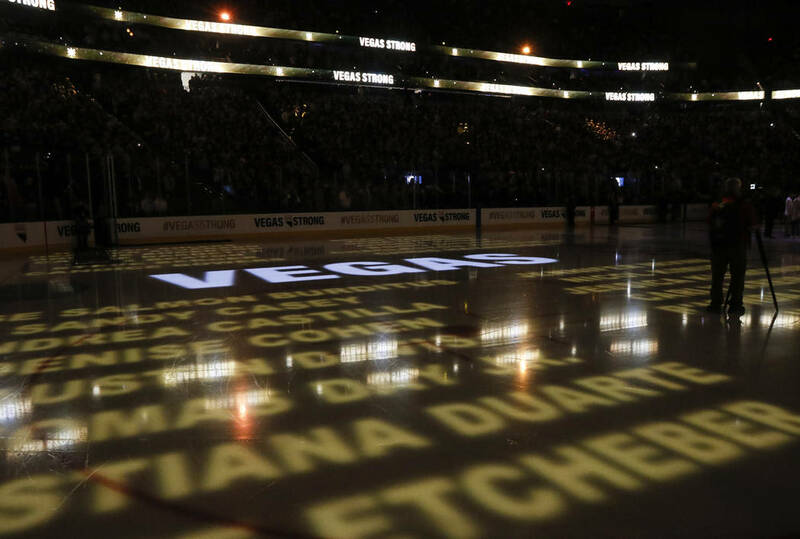 One of the biggest mysteries surrounding the Golden Knights’ home opener Tuesday was what song the team will play after its goals. 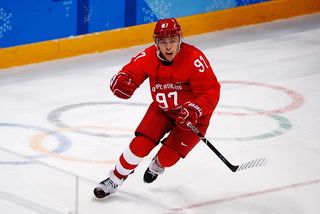 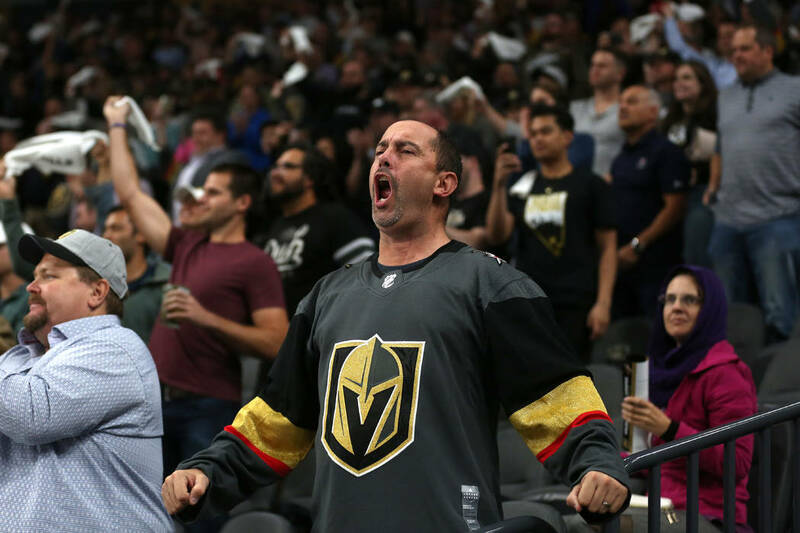 But when Tomas Nosek scored 2:31 into the first period and “Vegas Lights” by Panic! 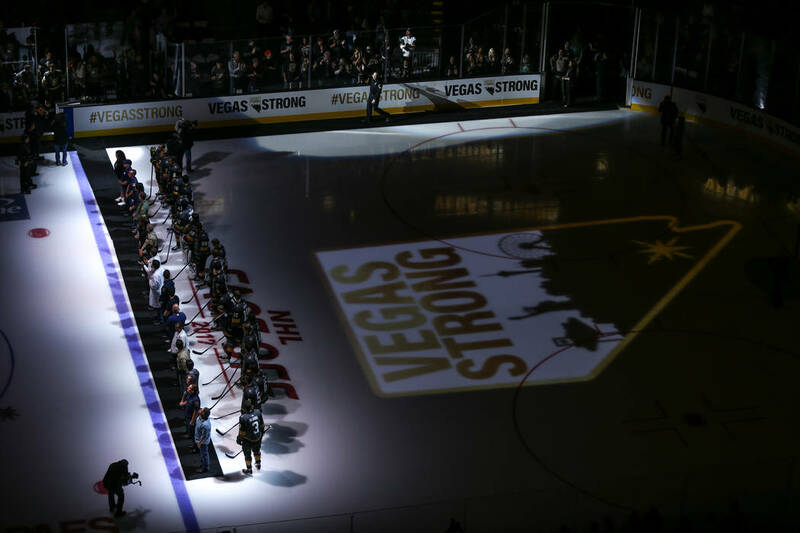 at the Disco played over the sound system, it was so loud in T-Mobile Arena that the music was barely audible. 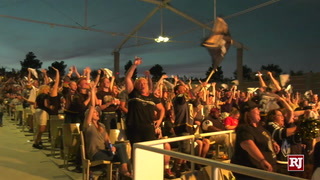 “Unbelievable,” Knights owner Bill Foley said of the atmosphere. 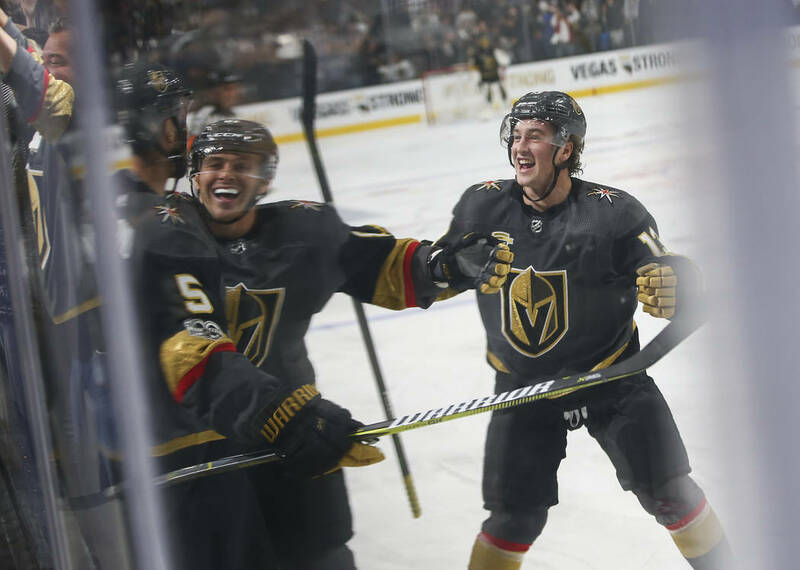 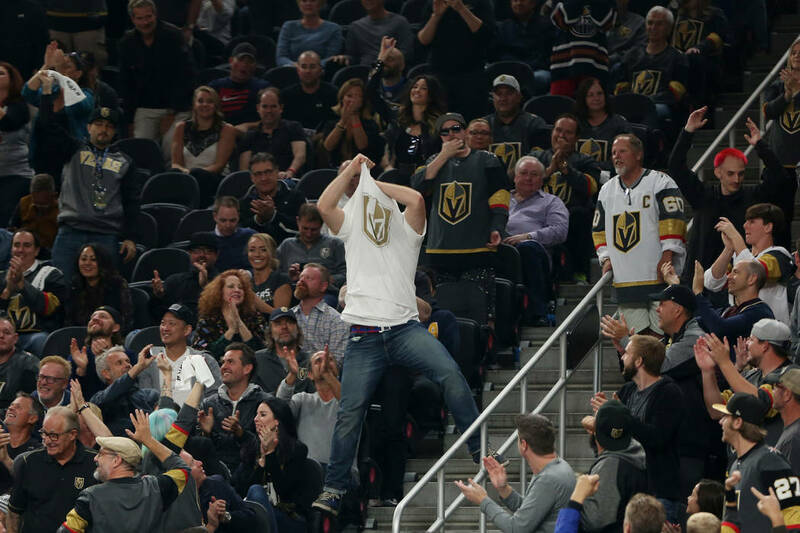 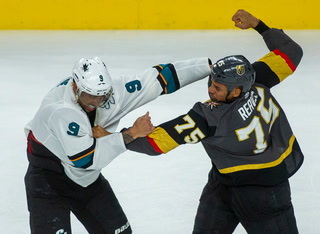 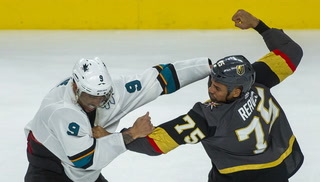 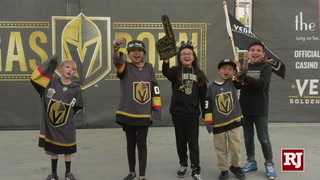 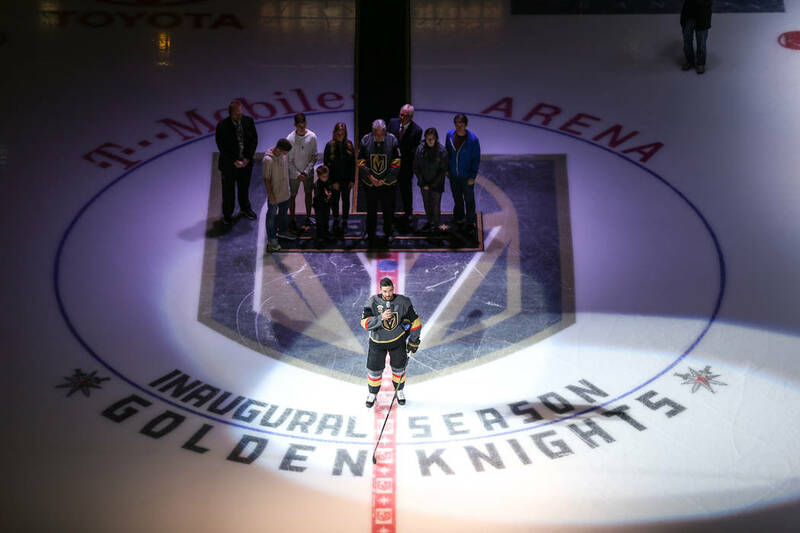 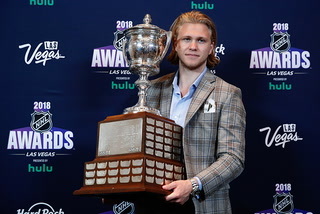 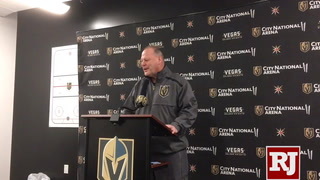 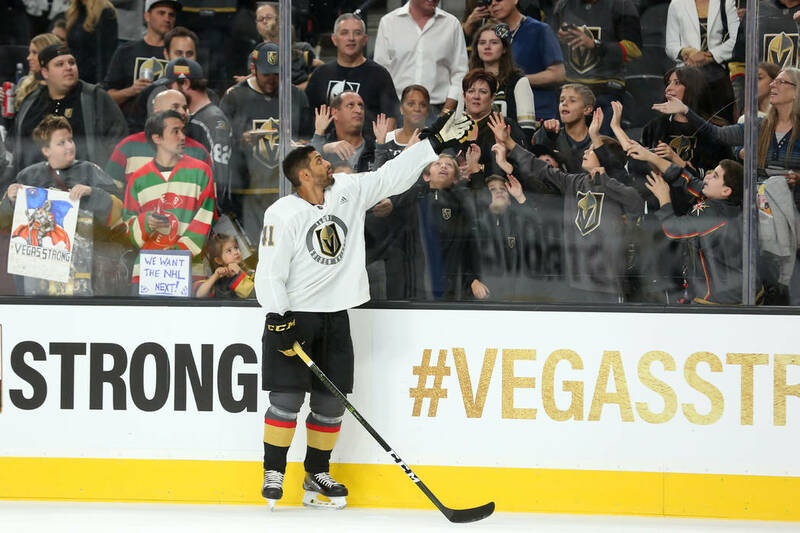 What started out as an emotional night quickly turned into a celebration of the city and its first professional team, as the Golden Knights scored four times in the first period on the way to a memorable 5-2 victory over the Arizona Coyotes before an announced gathering of 18,191. 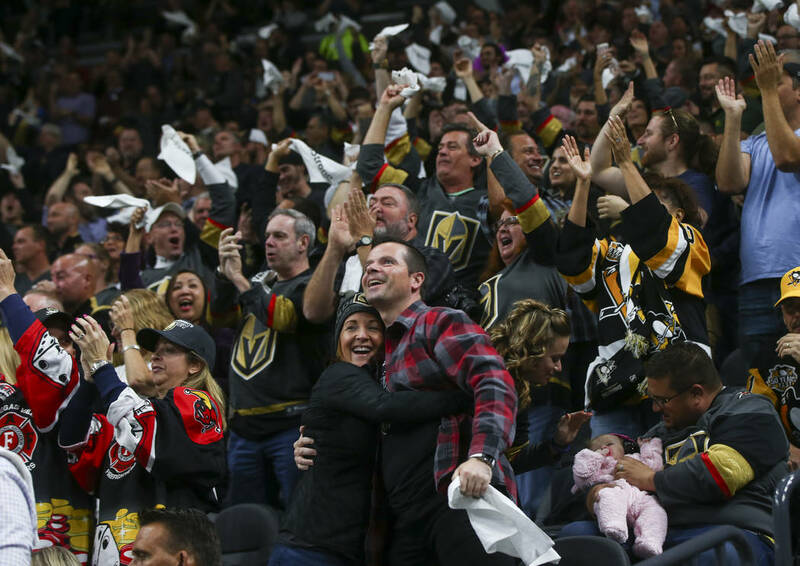 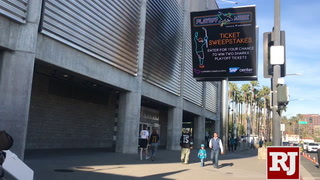 Fans poured into T-Mobile Arena two hours before the puck dropped, with many decked out in gear of their favorite team. 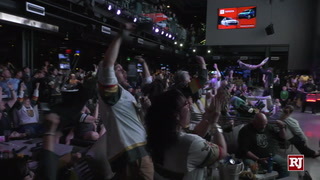 Two fans had on green Hartford Whalers jerseys, and one even sported a sweater of the Cape Breton Screaming Eagles, the former major junior hockey team of Knights goaltender Marc-Andre Fleury. 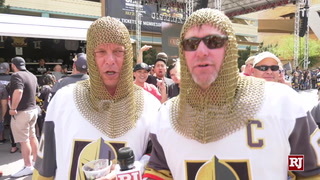 Of course, they were outnumbered by the sea of steel gray Golden Knights jerseys. 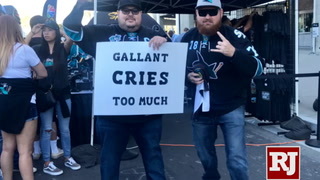 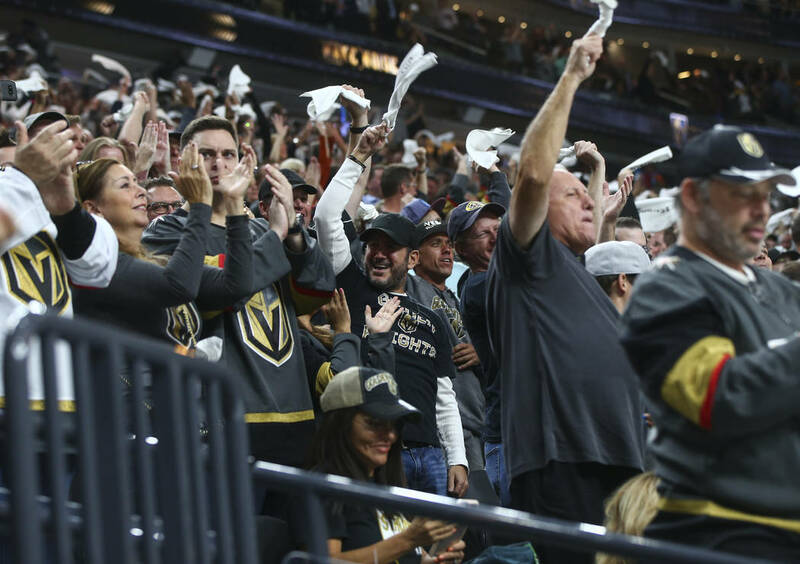 And the fans who didn’t own merchandise from the NHL’s newest team were standing in line at one of the many merchandise tables on the concourse. 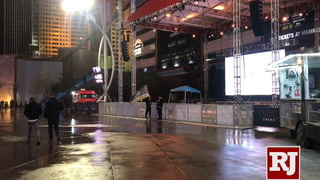 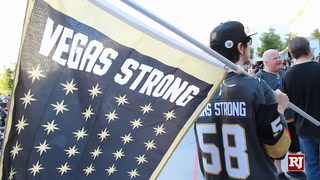 At 5:45 p.m., the line for one merchandise booth wrapped around several times and was at least 100 people deep. 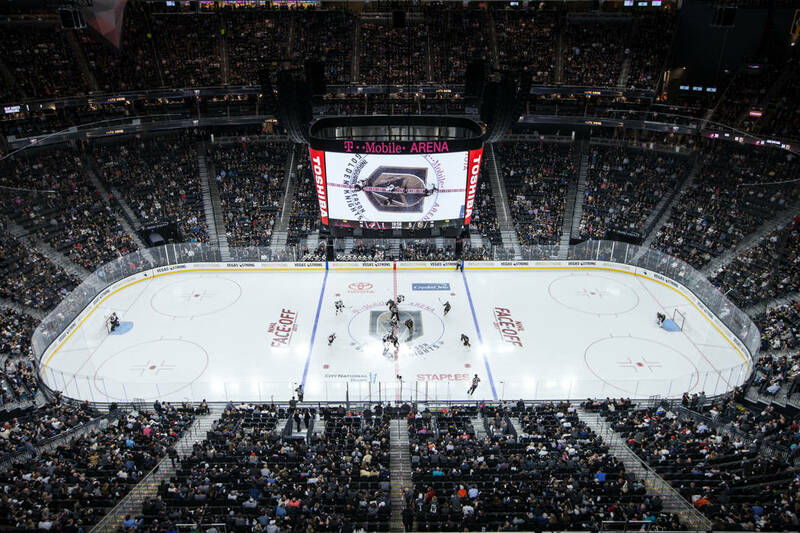 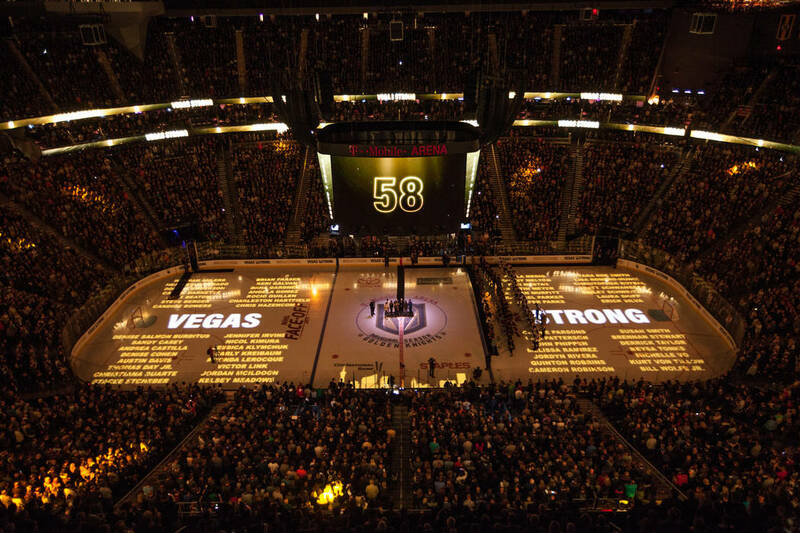 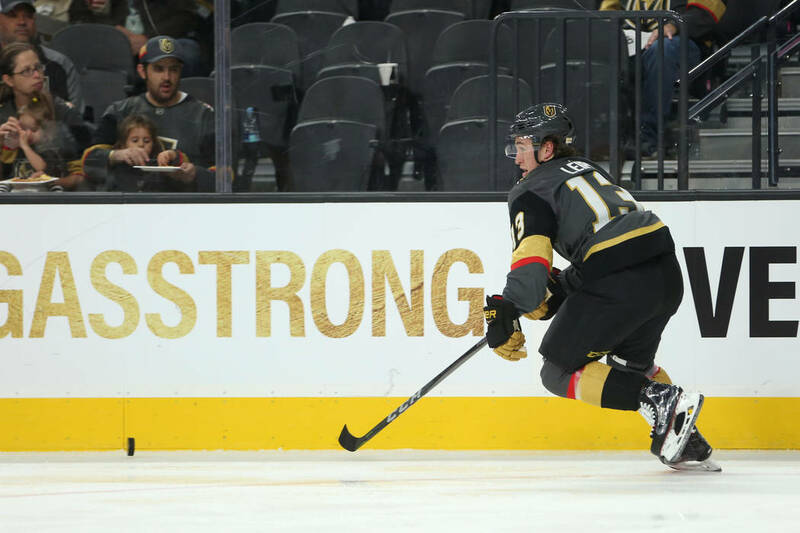 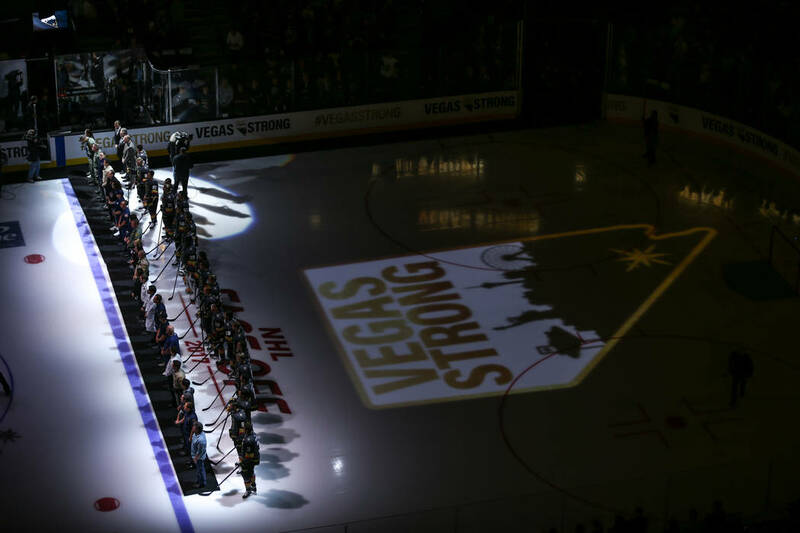 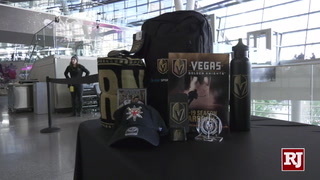 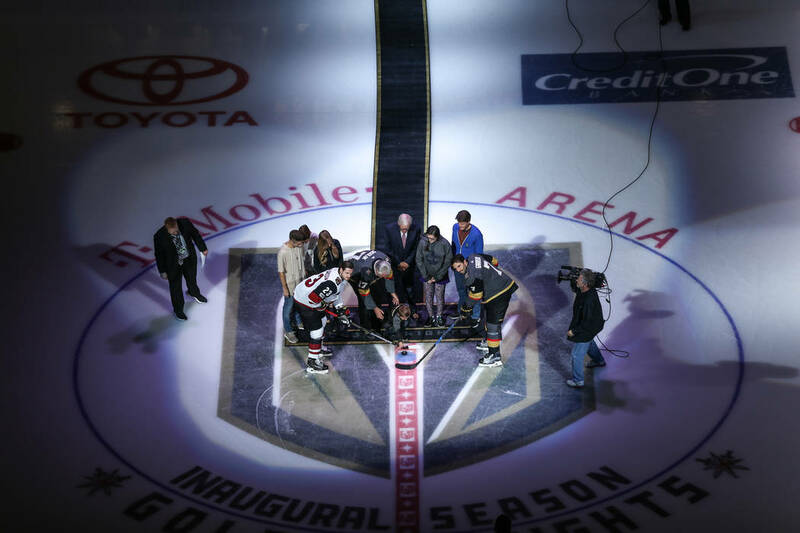 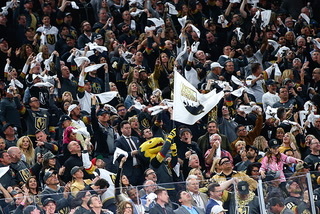 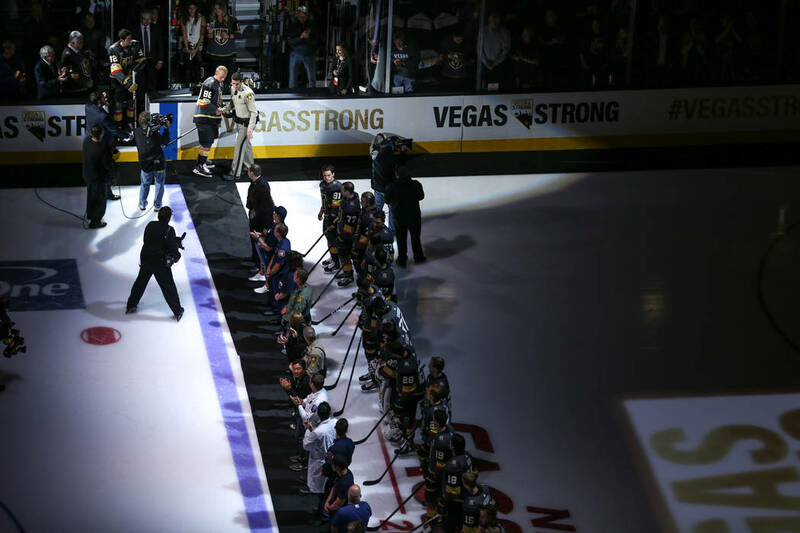 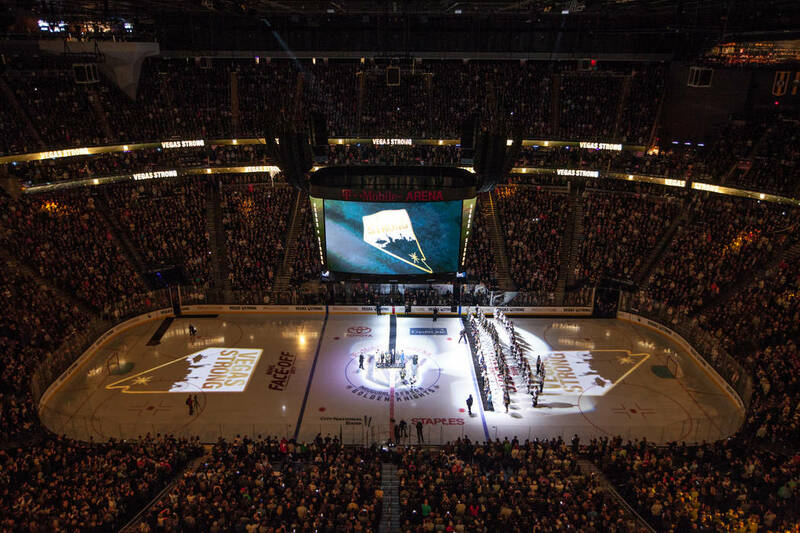 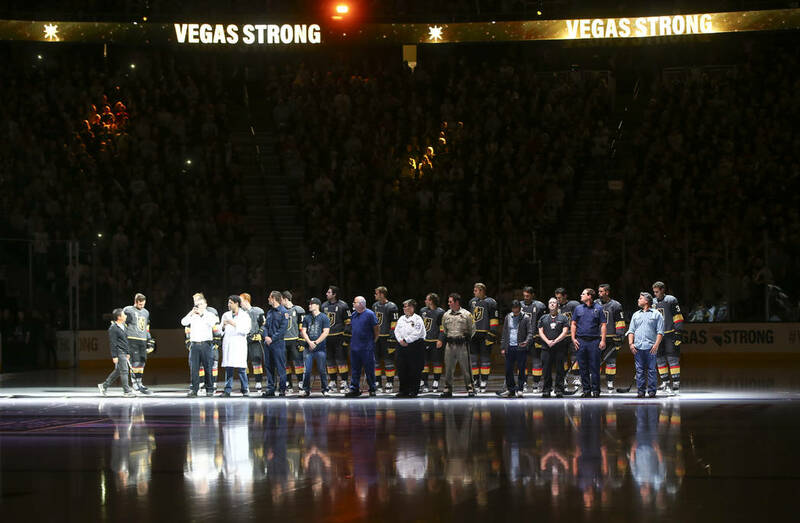 The Golden Knights gave everyone in attendance a commemorative puck as they entered the building, and towels with the slogan “#VegasStrong” were placed on every seat. 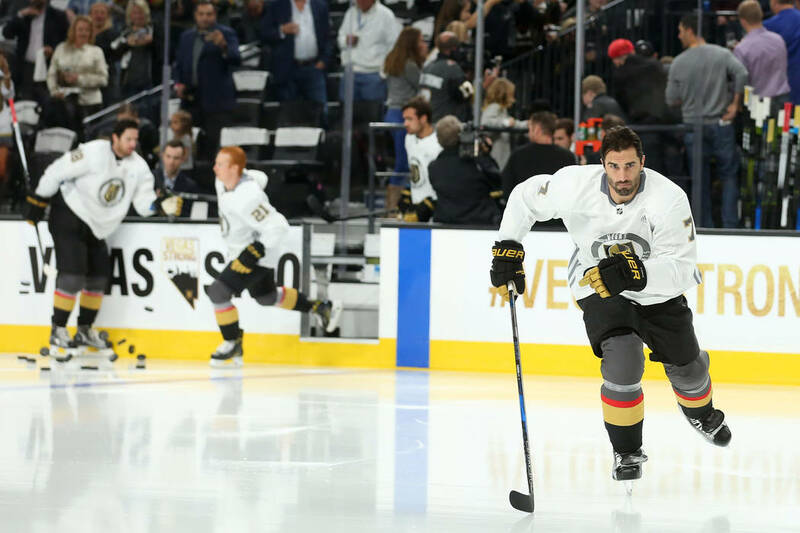 For pregame warmups, Knights players wore white practice jerseys with “Vegas Strong” on the nameplate. 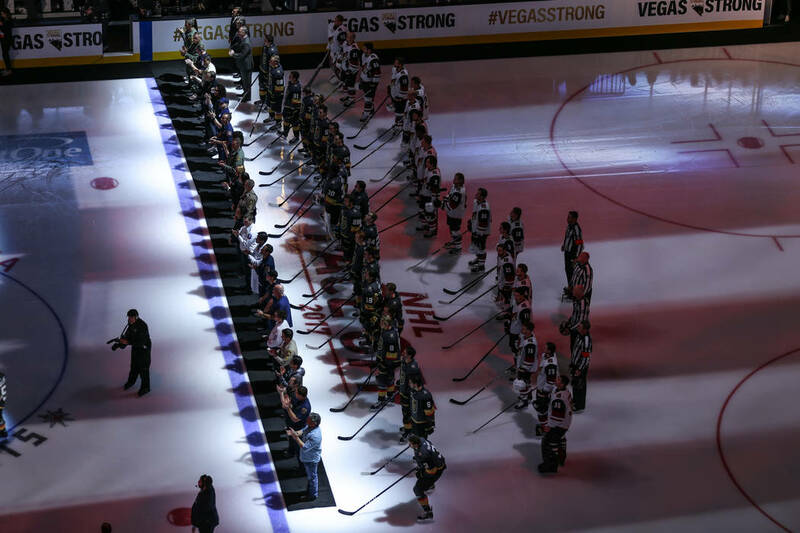 The team announced later it would auction off the jerseys for charity. 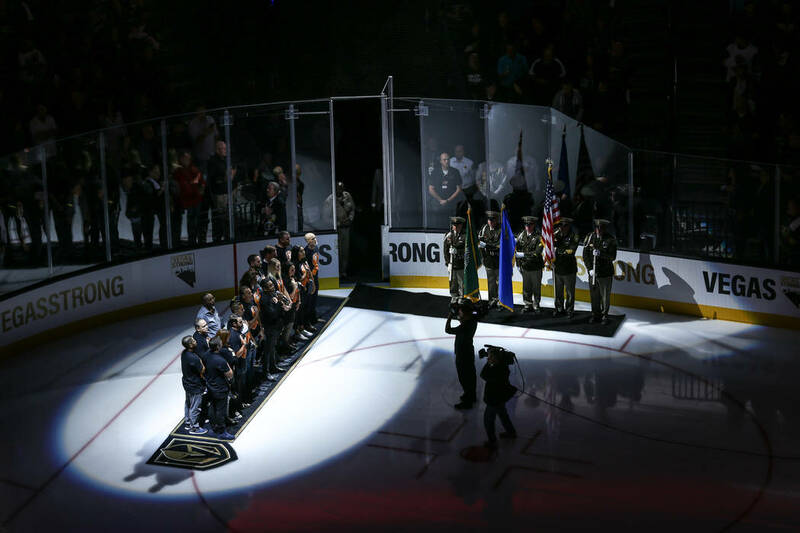 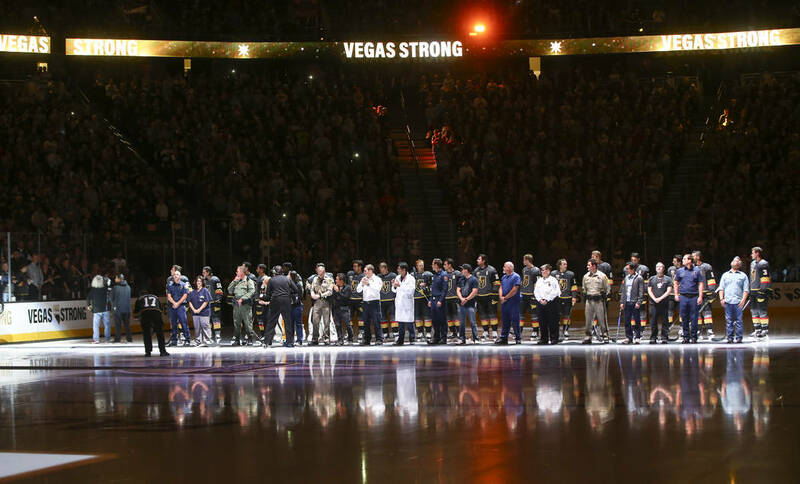 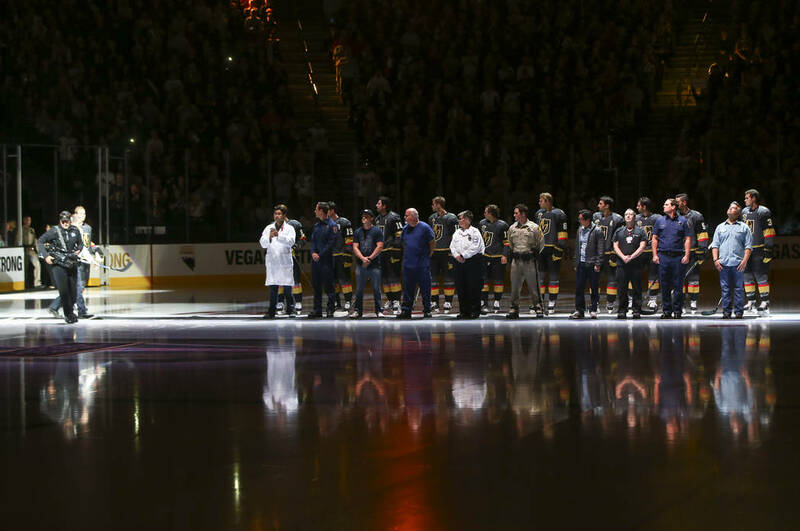 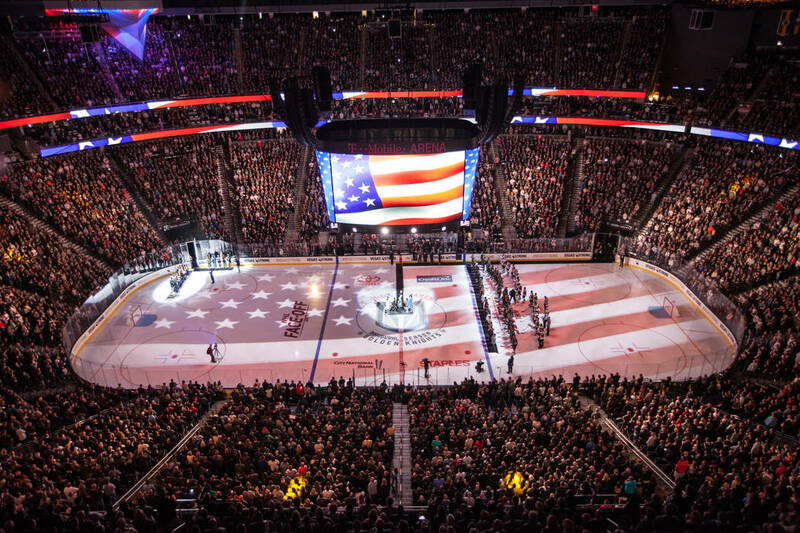 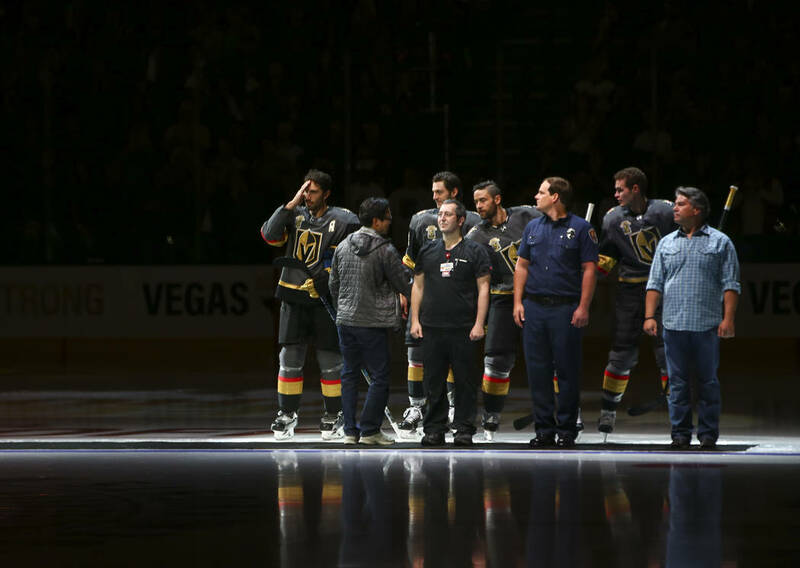 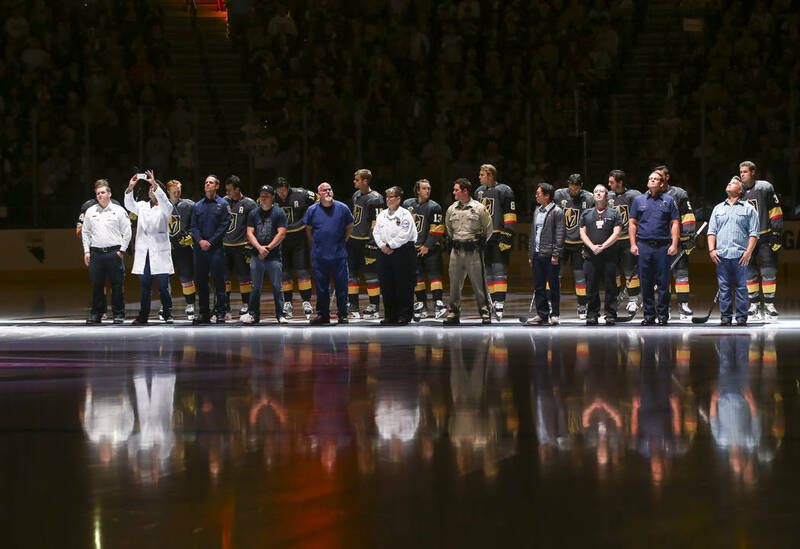 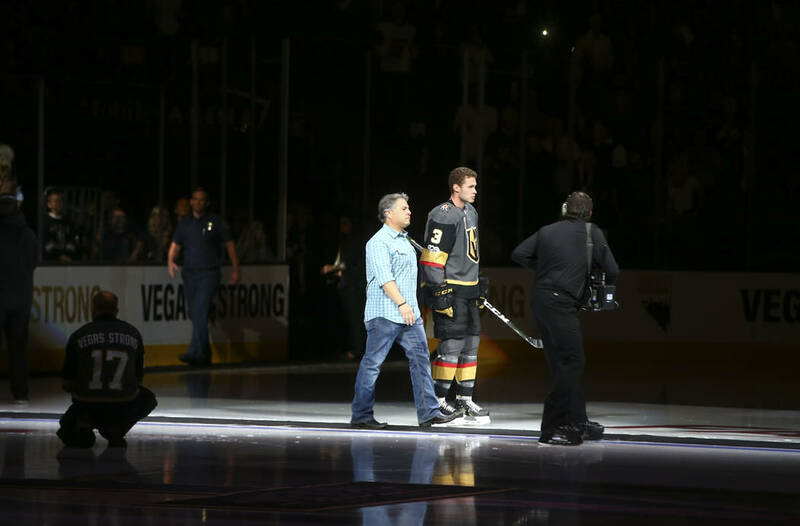 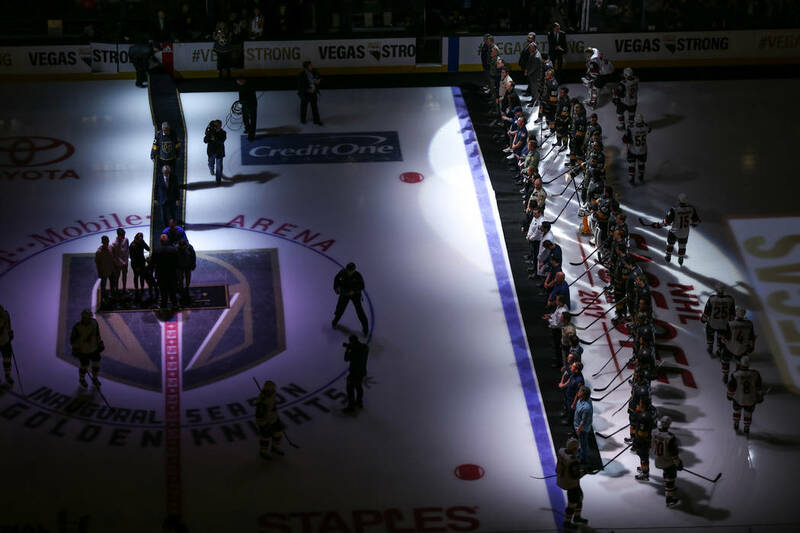 To honor the victims and first responders of last week’s mass shooting on the Strip, the Knights held a pregame ceremony and were joined on the ice by first responders and Coyotes players. 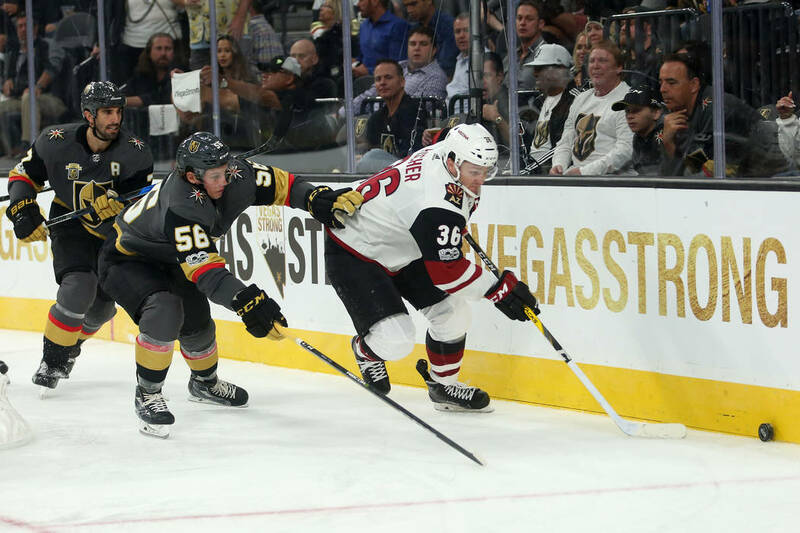 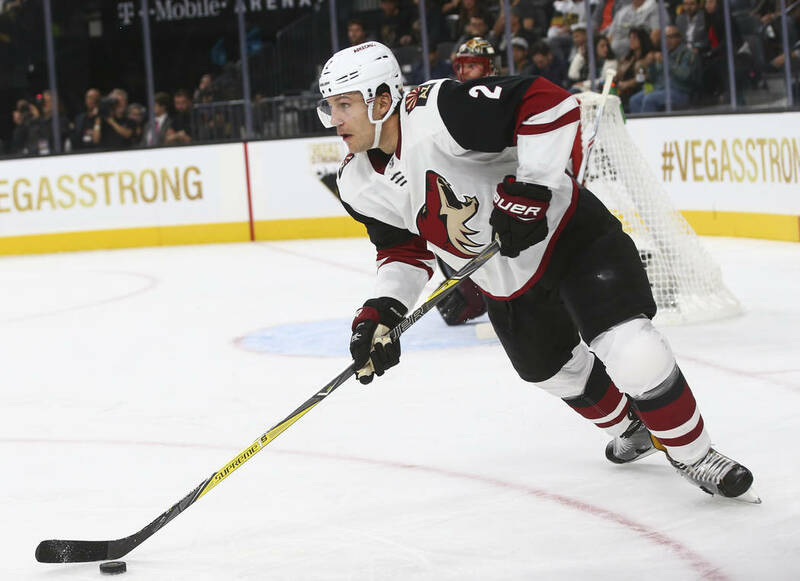 Fans started to boo the visiting team as the Coyotes players stepped on the ice but quickly turned the jeers to cheers after Arizona lined up behind the Knights near the blue line. 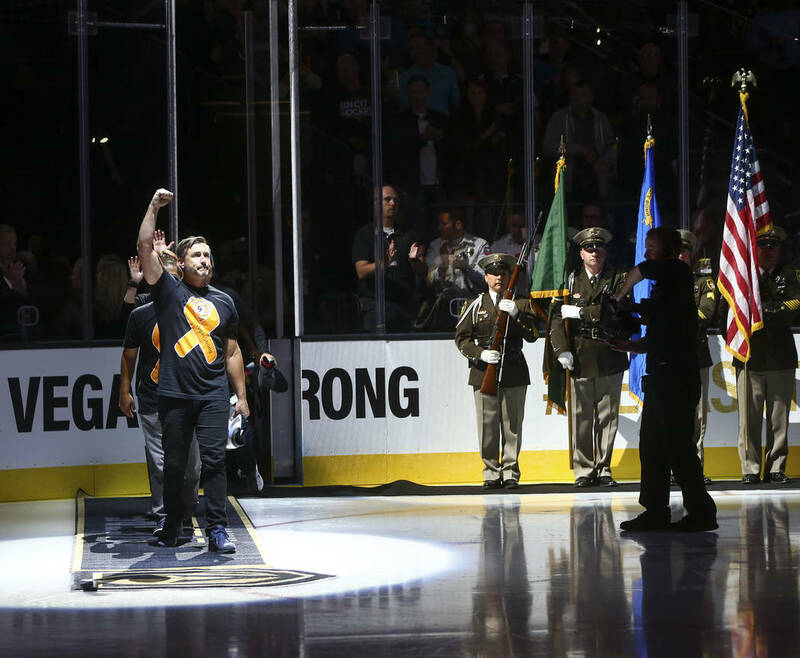 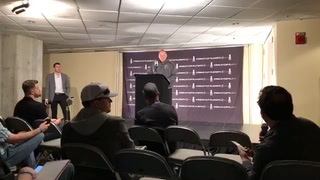 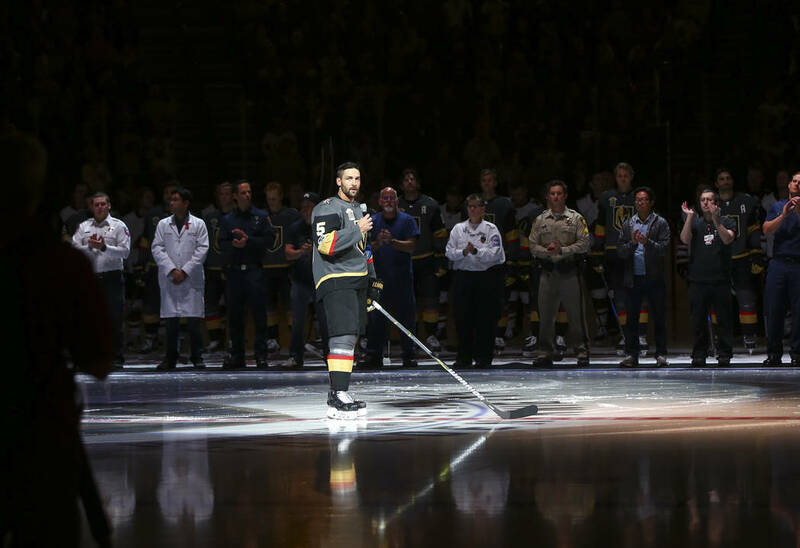 After a ceremonial puck drop with Knights defenseman Jason Garrison and Oliver Ekman-Larsson of the Coyotes and the national anthem, which was sung by everyone in the arena, Knights defenseman Deryk Engelland addressed the crowd. 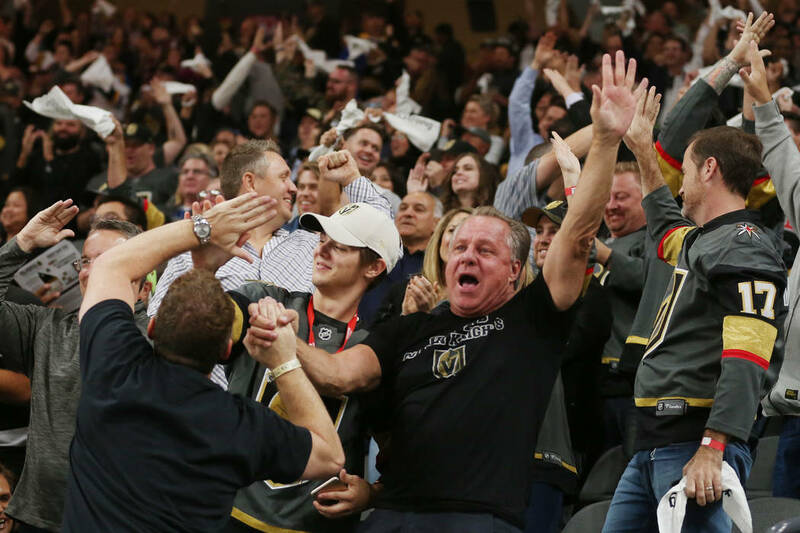 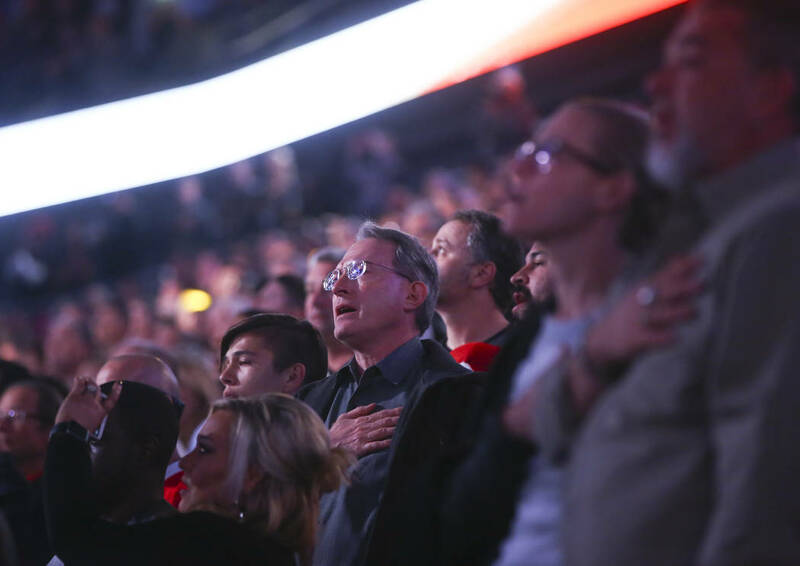 It didn’t take long for the Knights to capitalize on the emotion in the building, either. 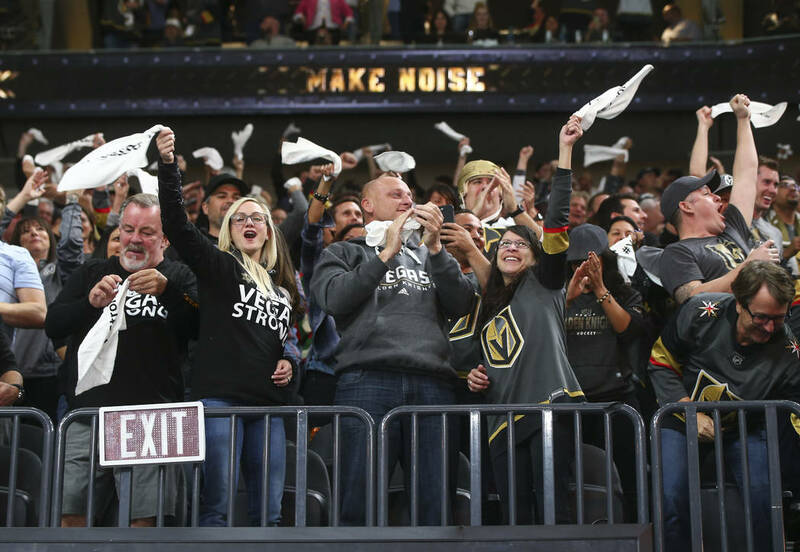 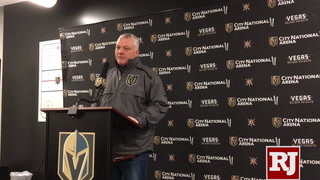 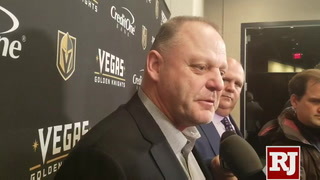 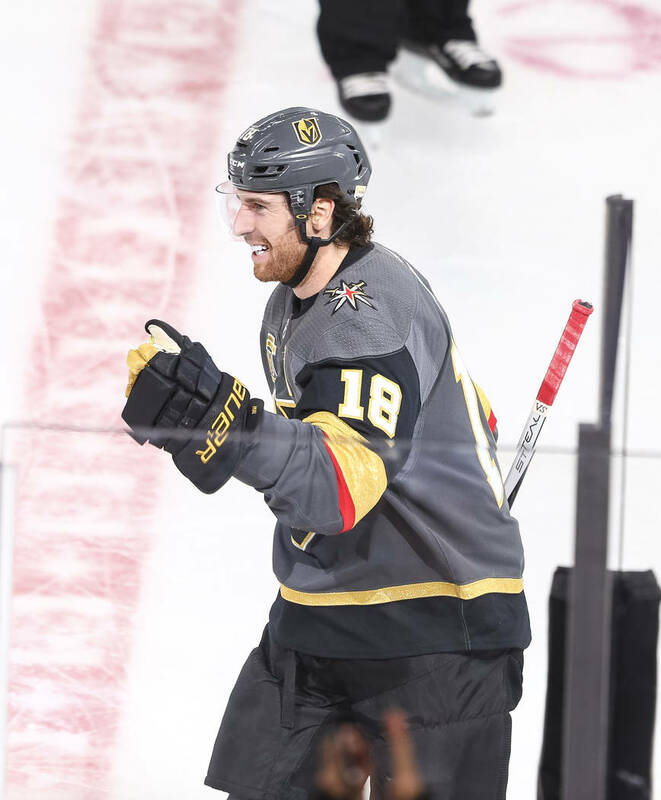 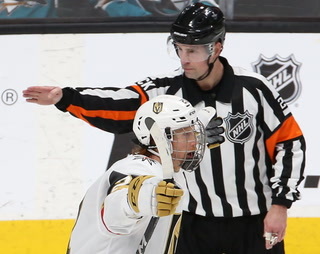 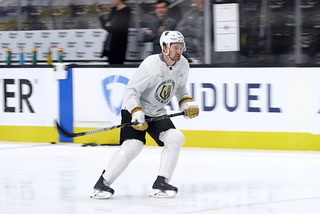 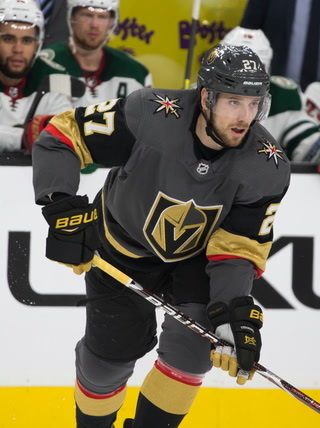 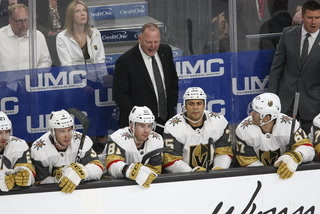 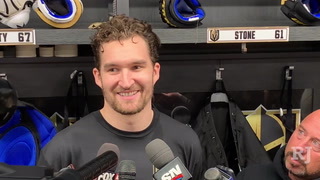 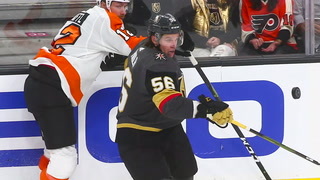 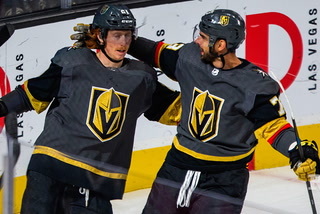 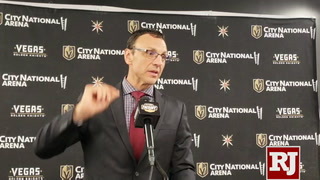 In addition to Nosek’s opener, Engelland added a goal less than two minutes later, and Neal tallied twice to send T-Mobile Arena into a frenzy after 10 minutes. 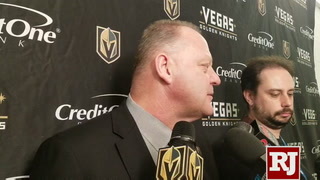 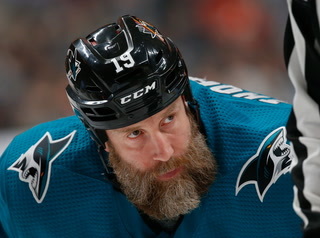 “Scoring four goals in the first period, that didn’t hurt at all,” Foley said.